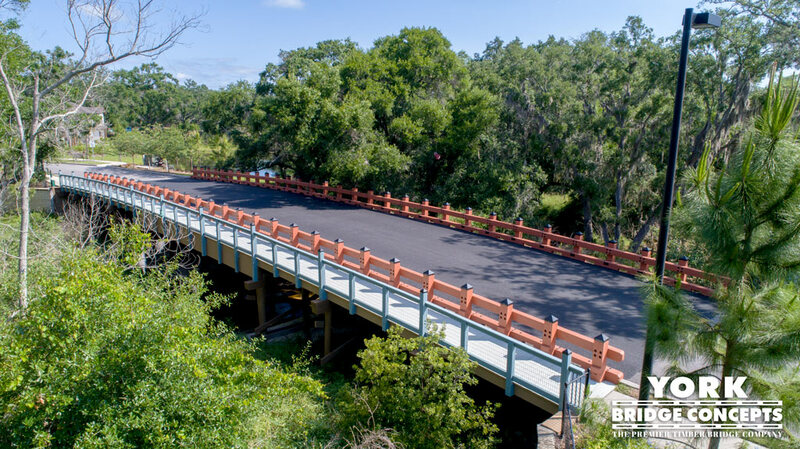 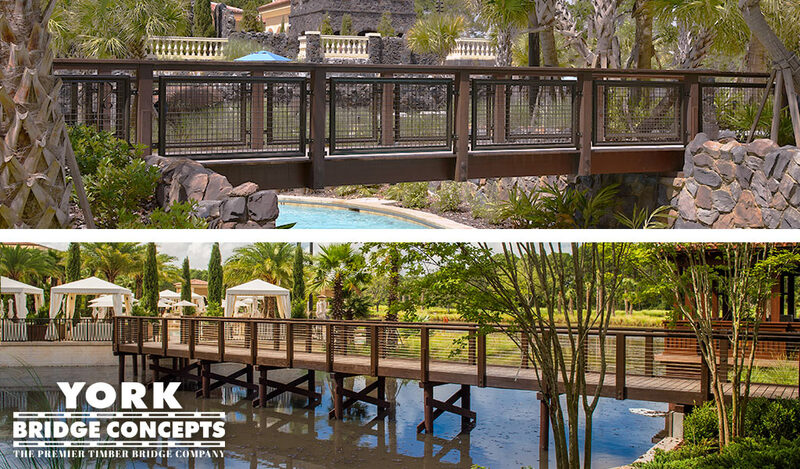 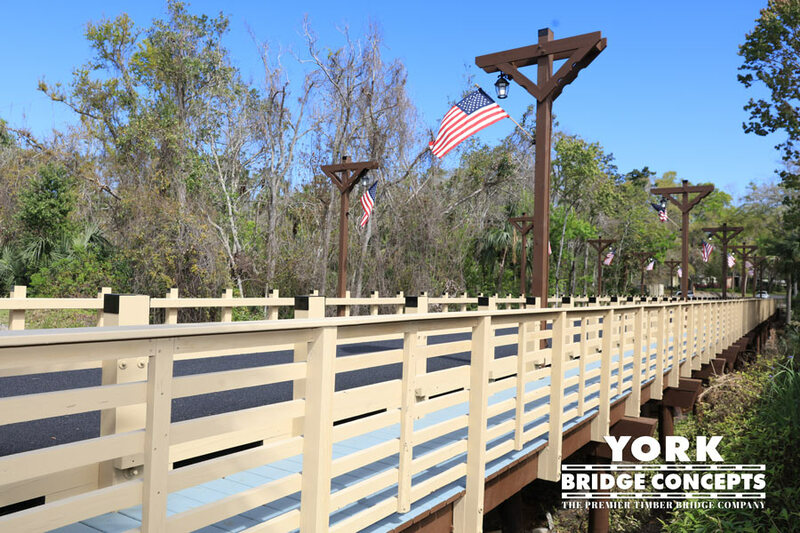 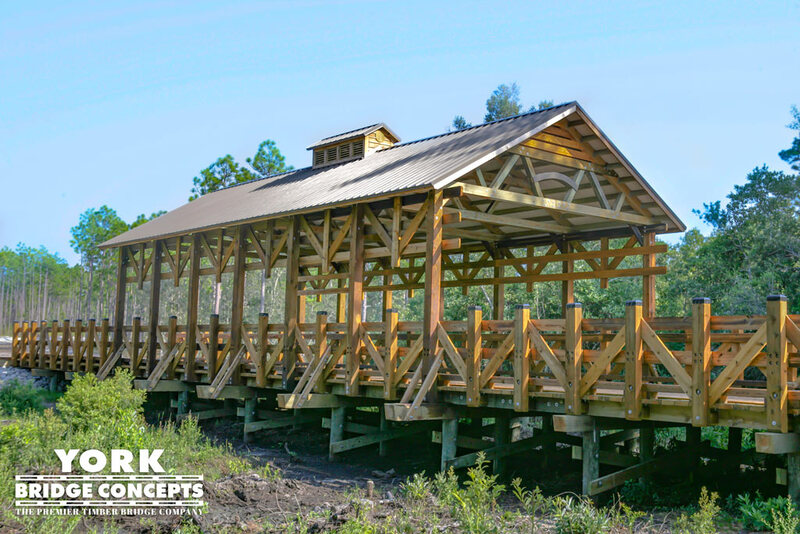 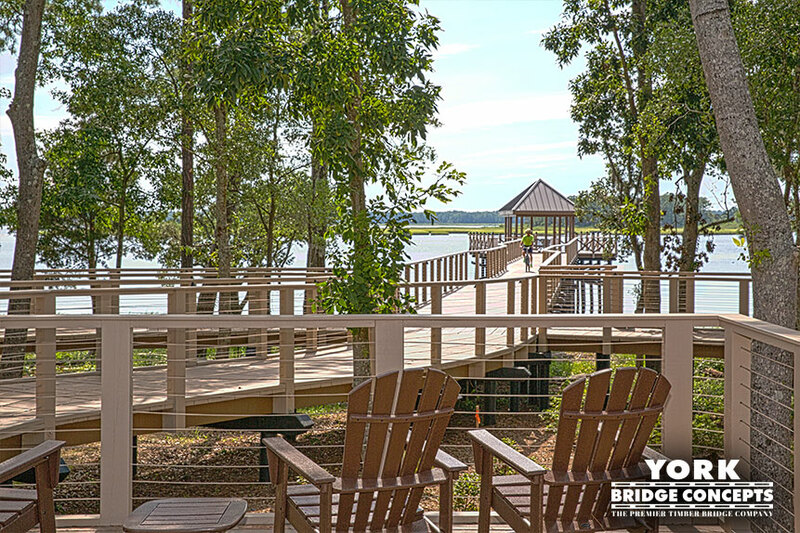 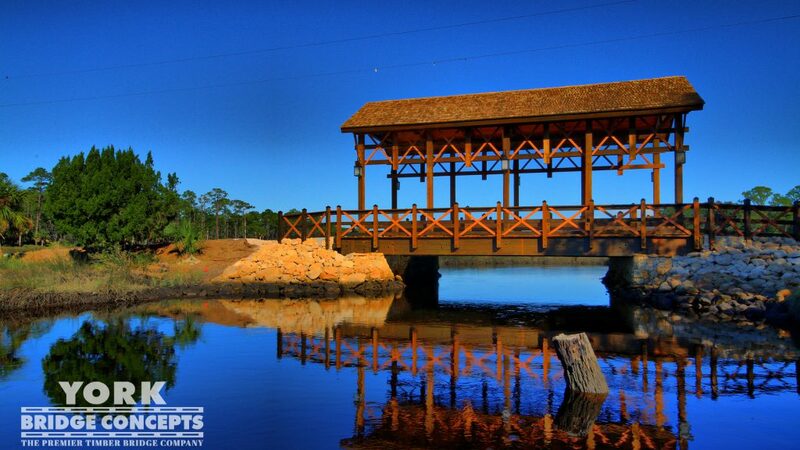 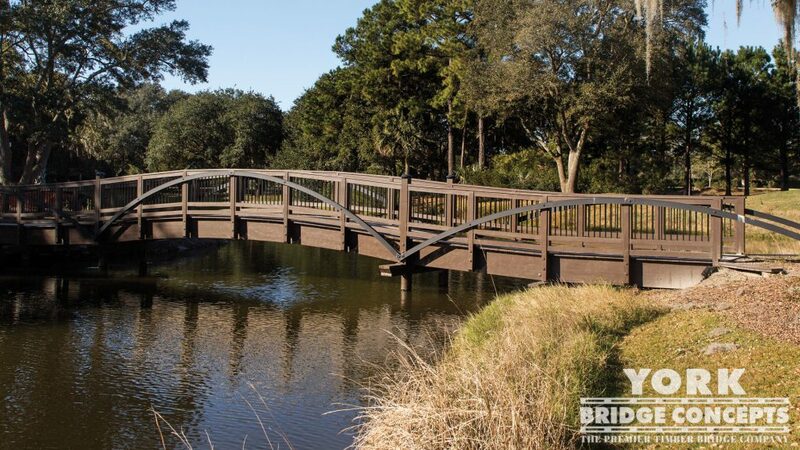 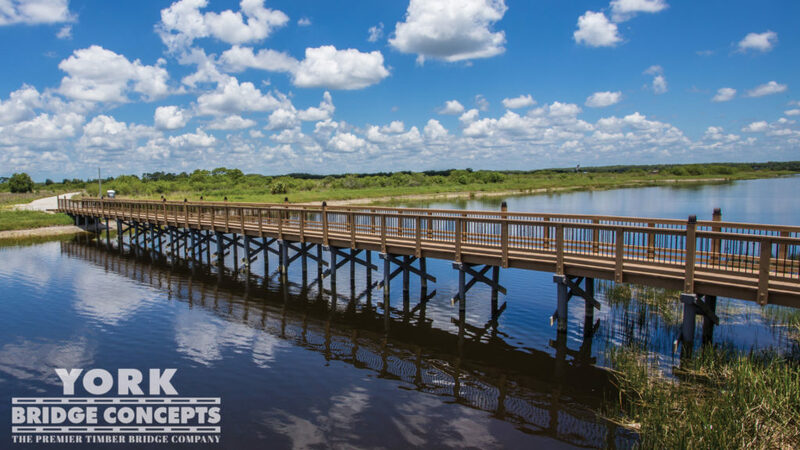 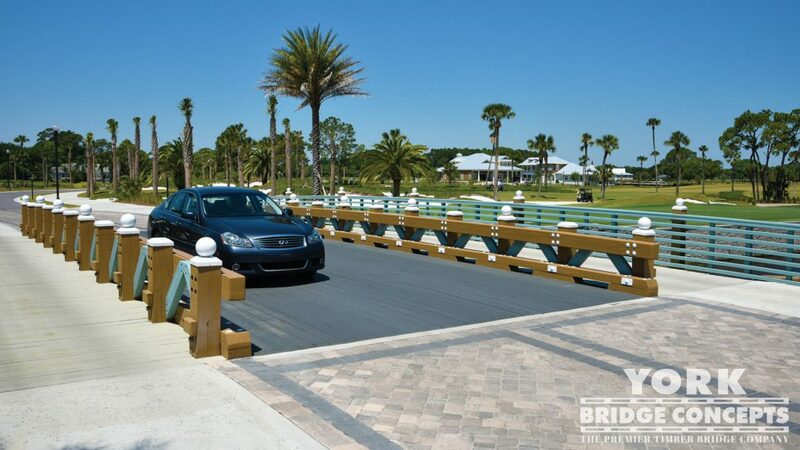 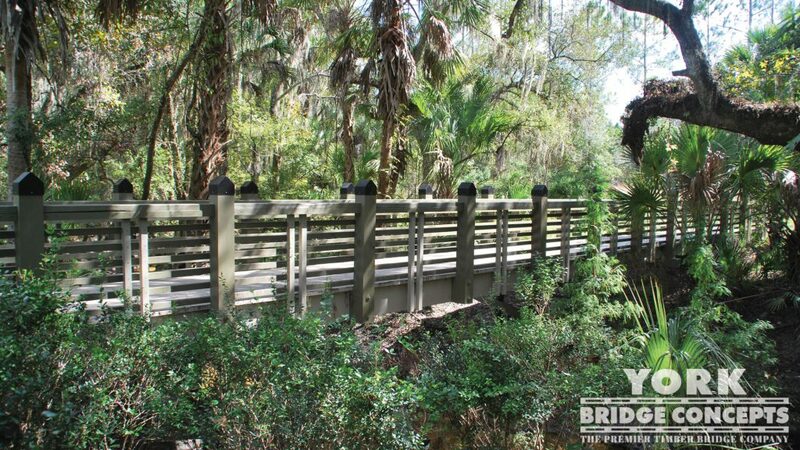 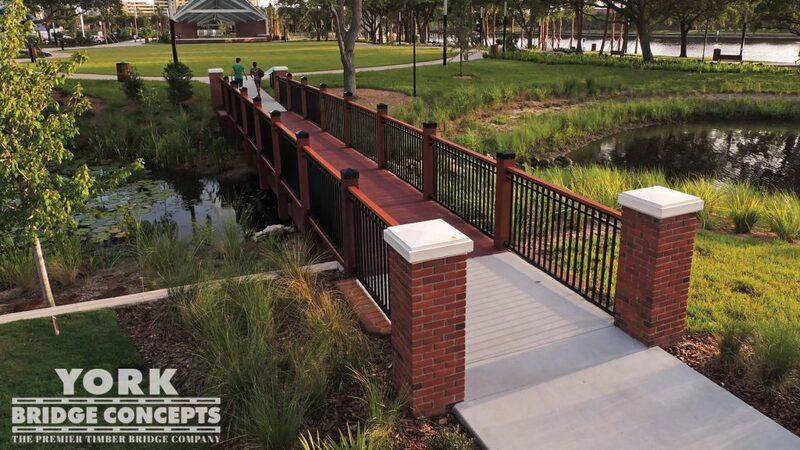 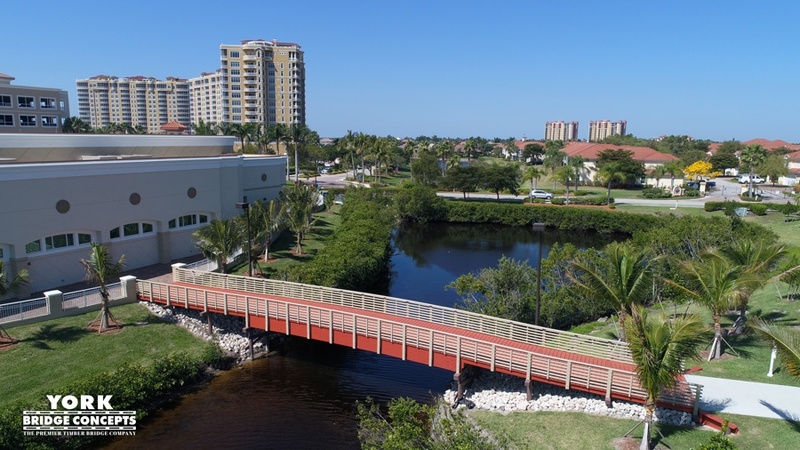 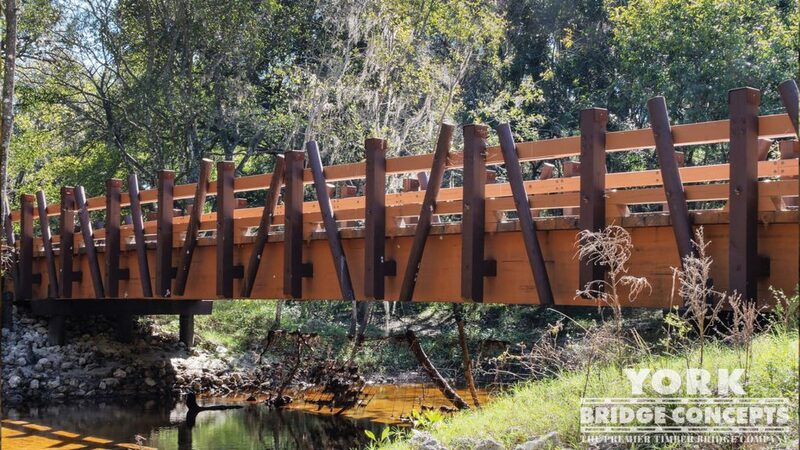 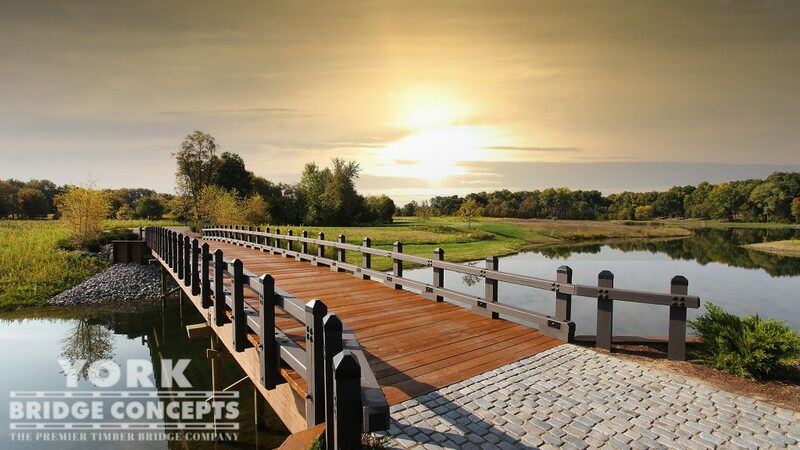 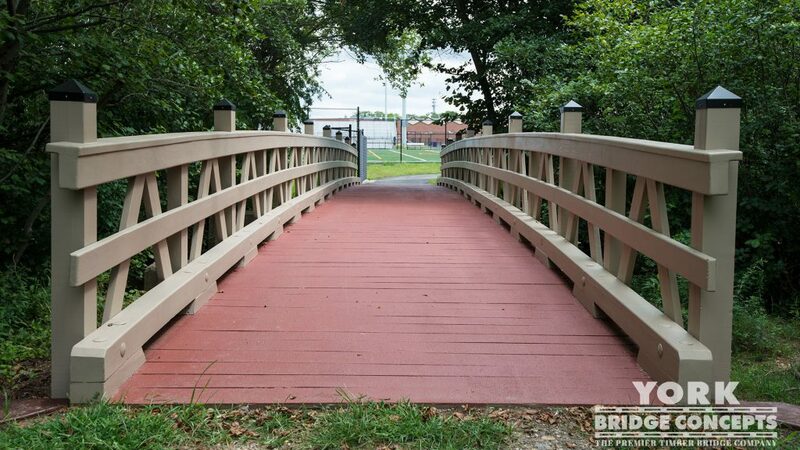 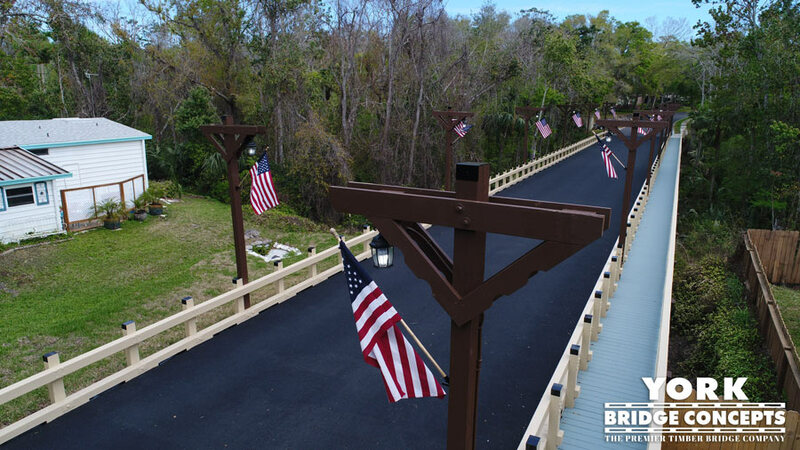 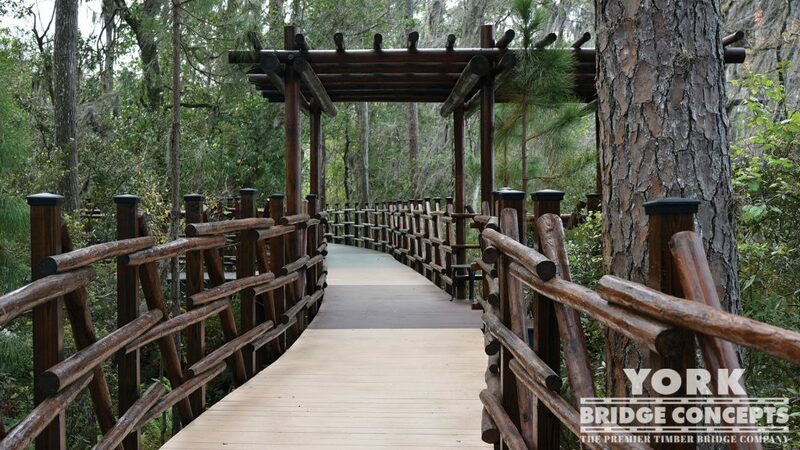 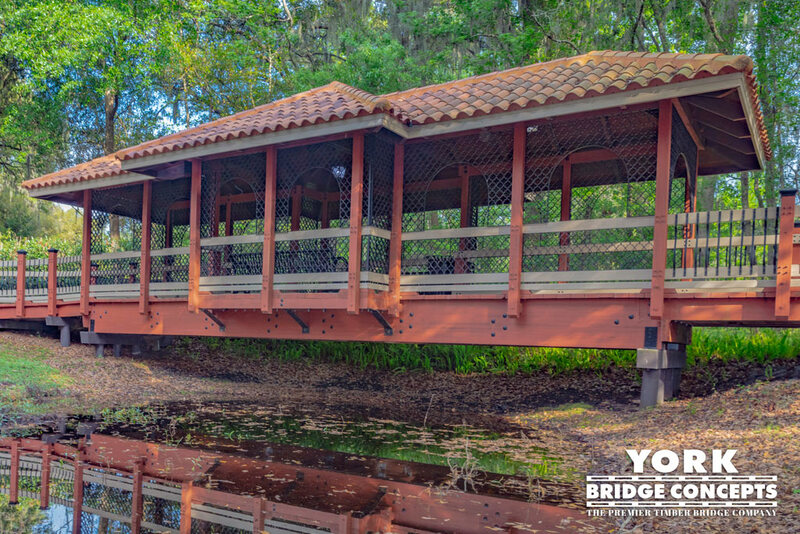 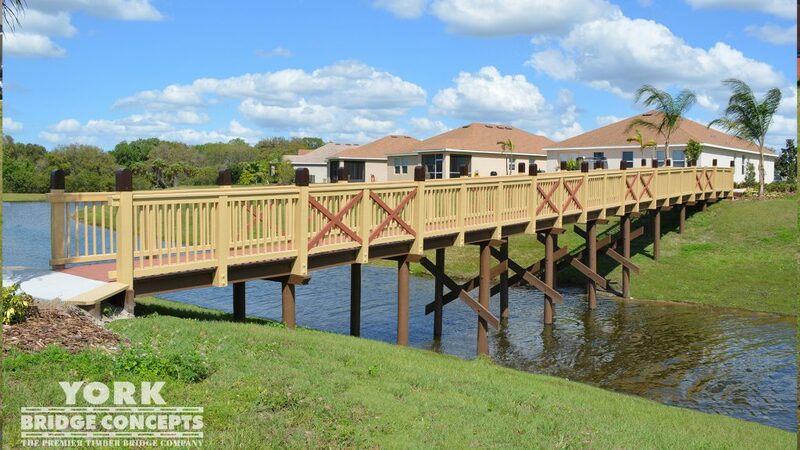 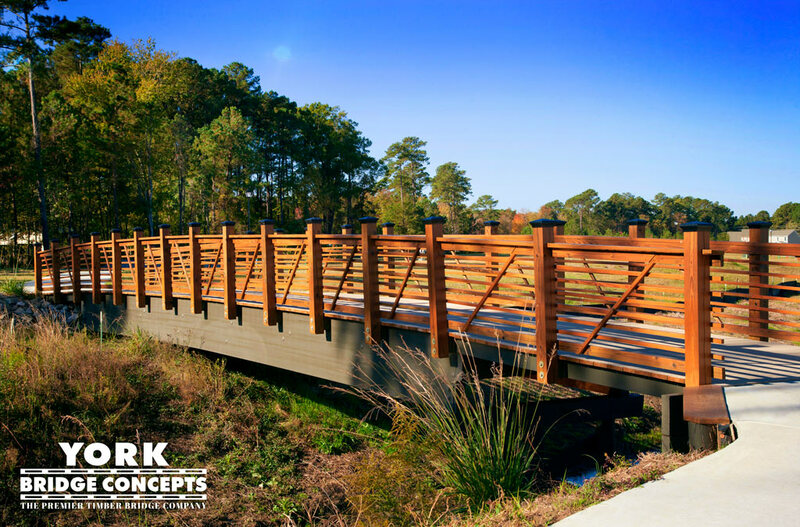 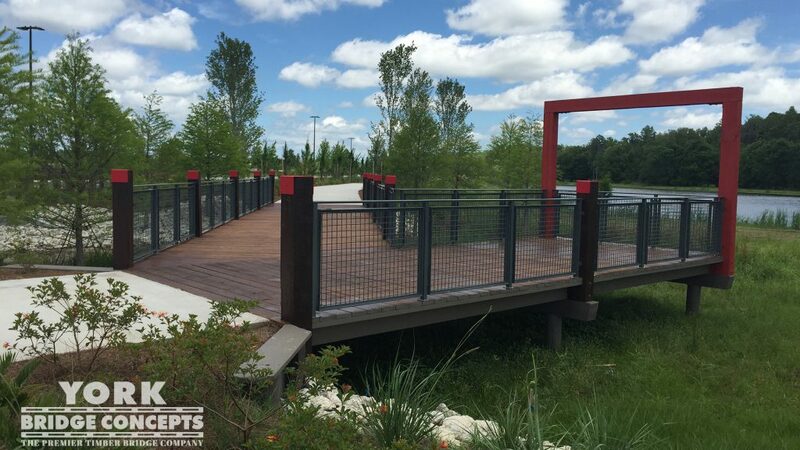 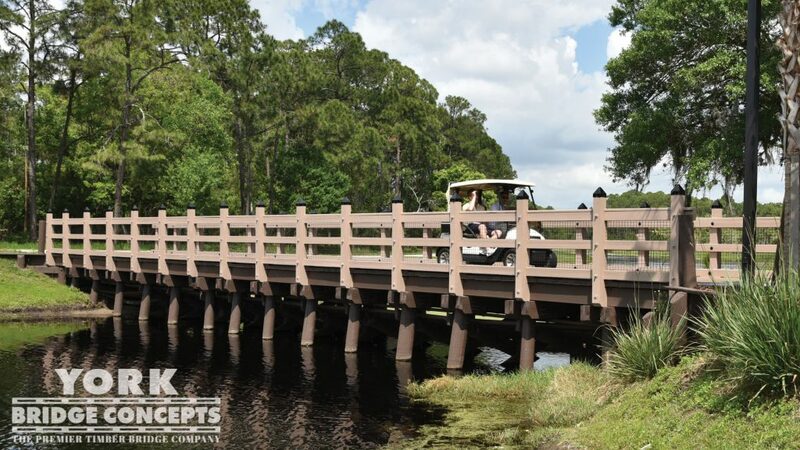 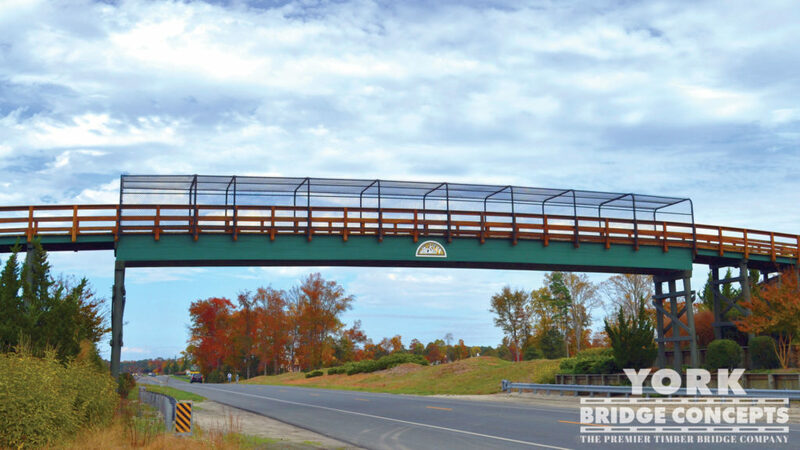 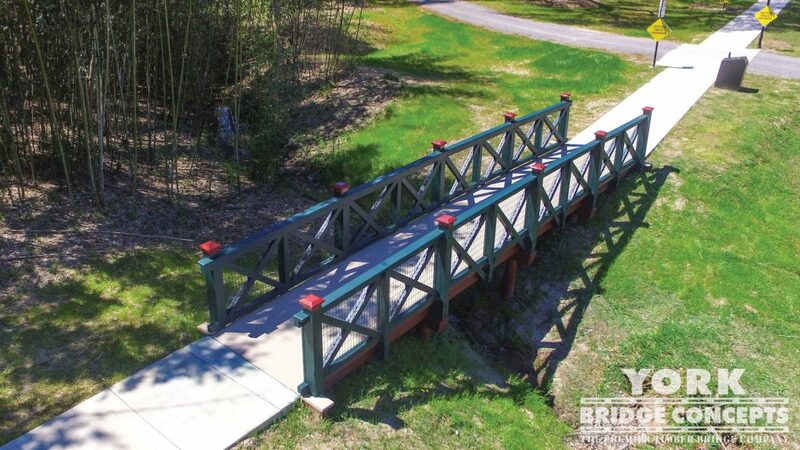 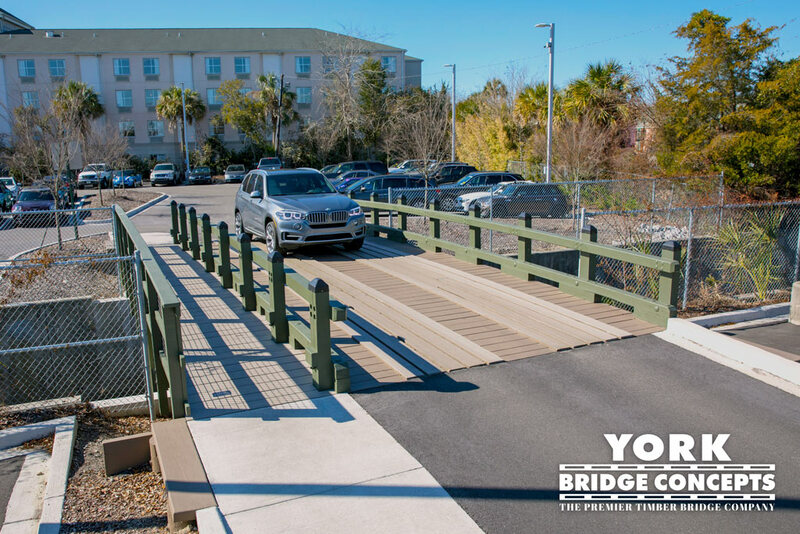 York Bridge Concepts™ has unveiled its recent Decero™ Designed York Timber Pedestrian Bridge for Ave Maria University, located 17 miles east of Naples, Florida. 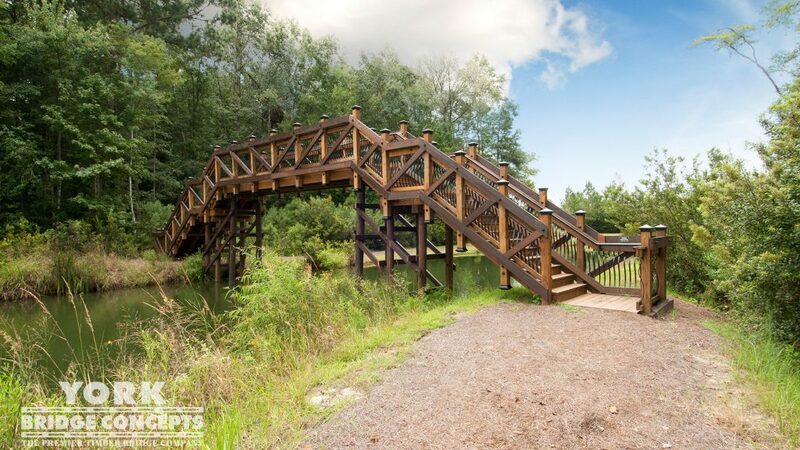 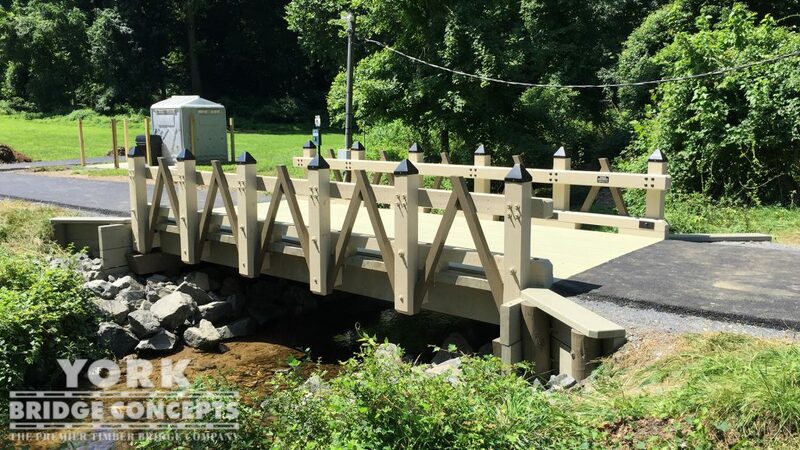 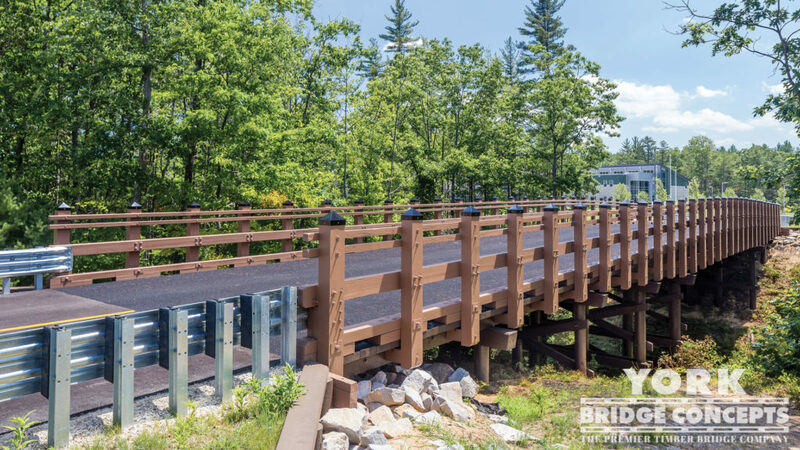 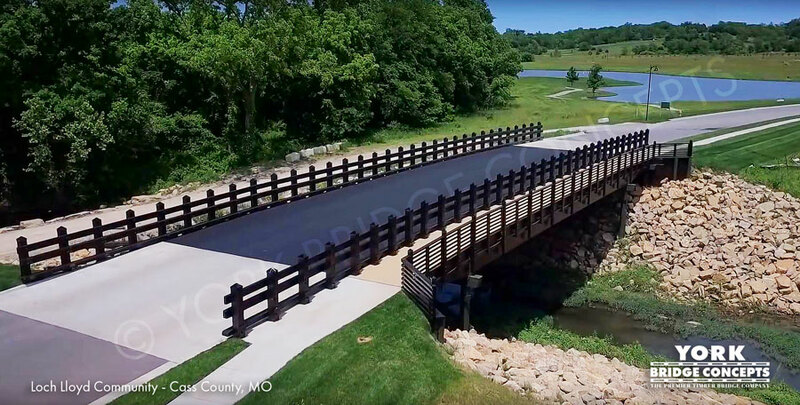 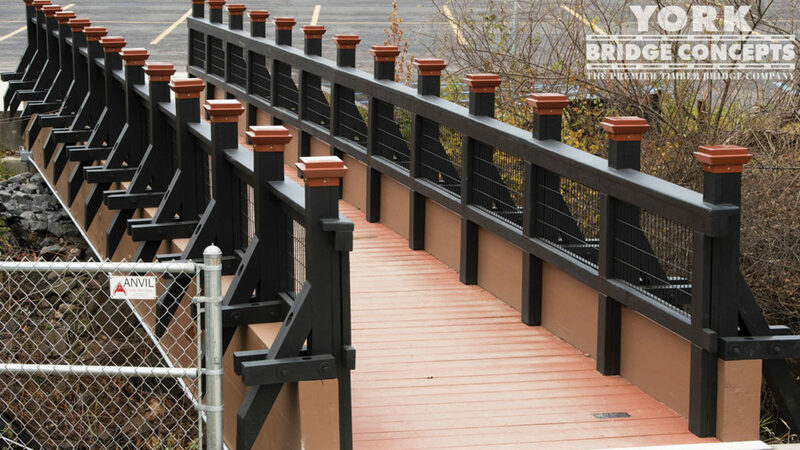 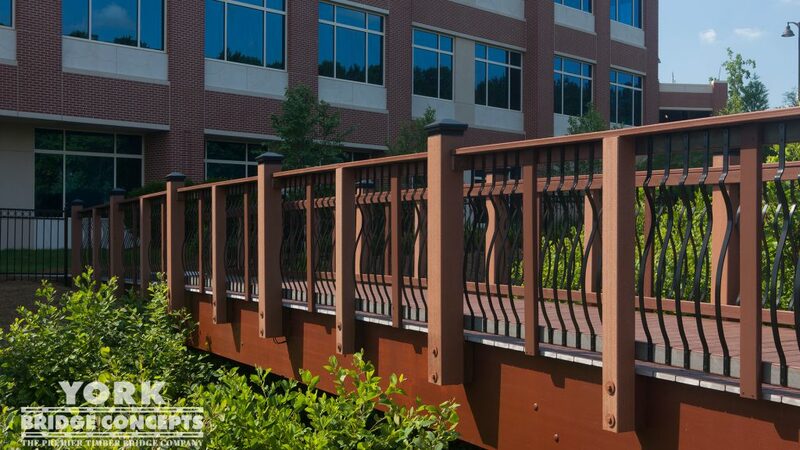 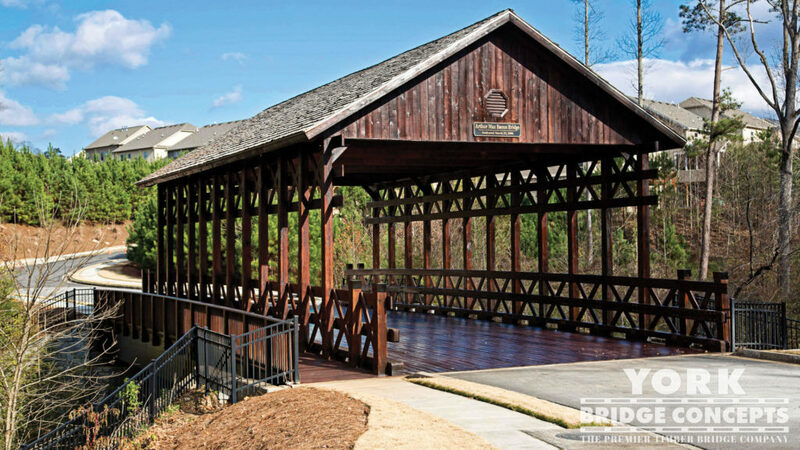 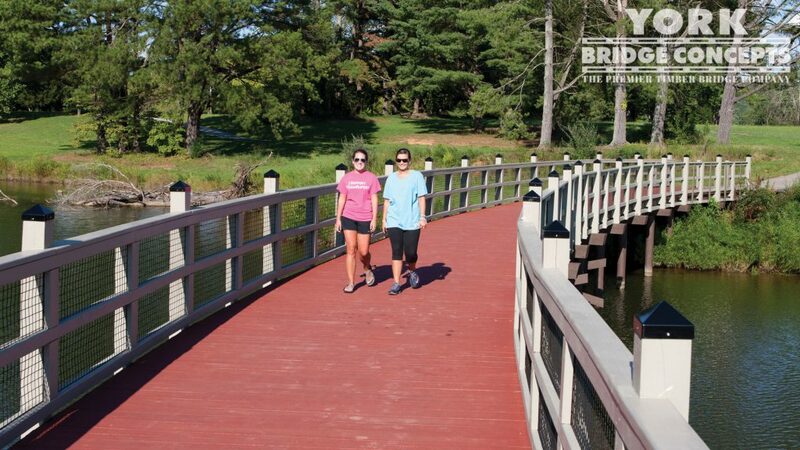 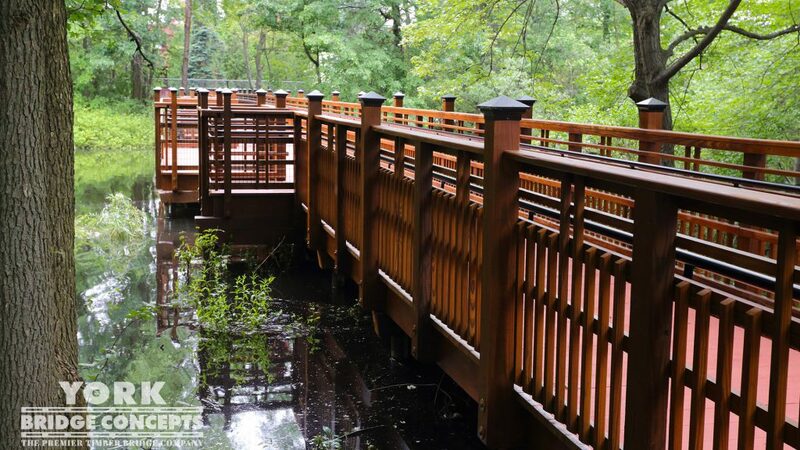 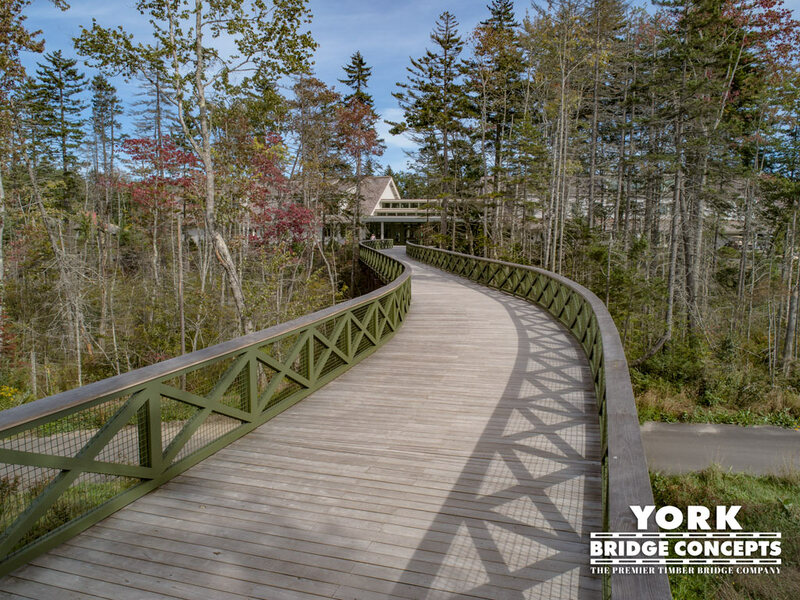 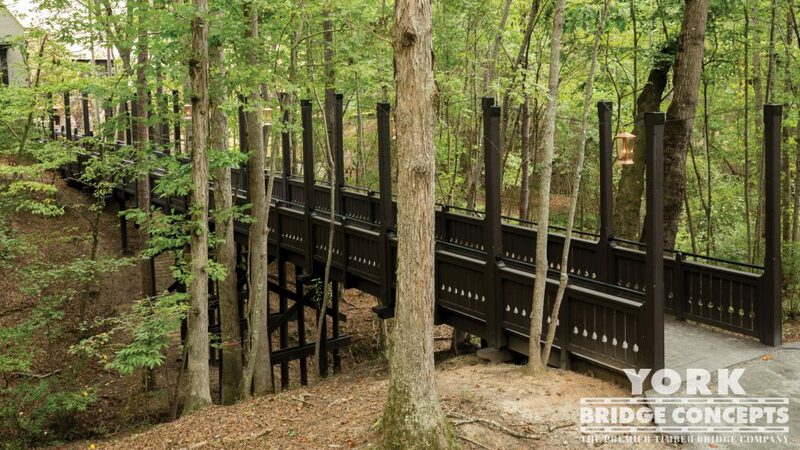 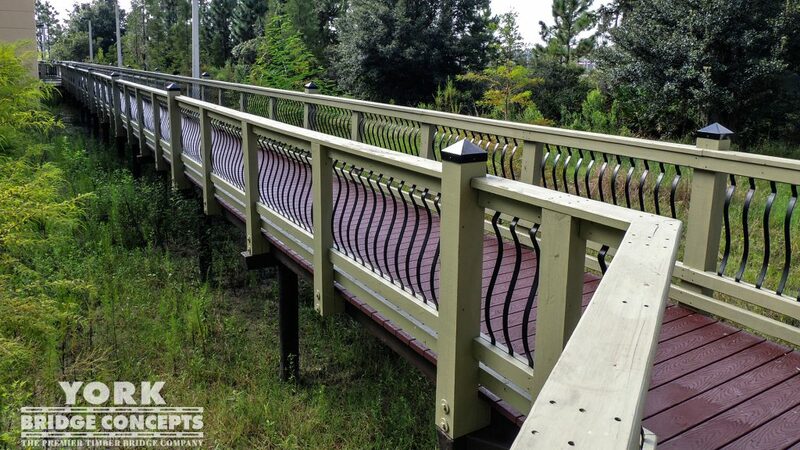 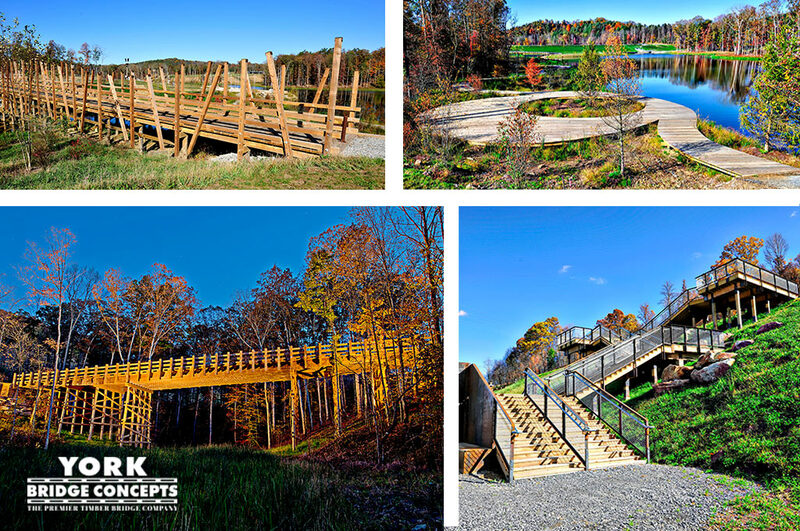 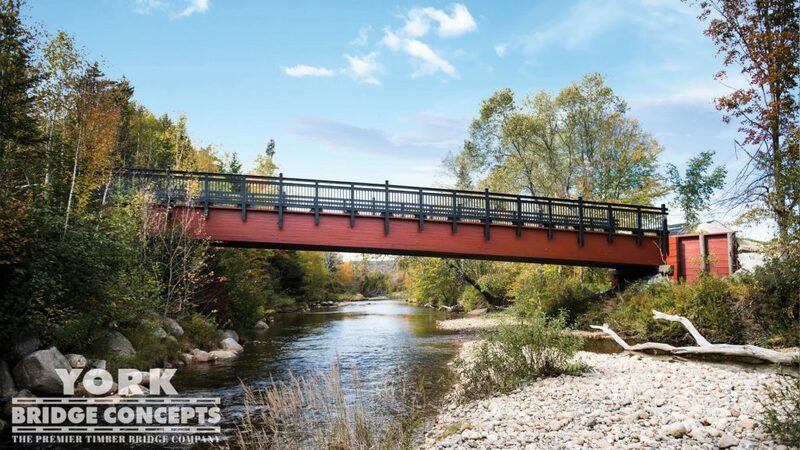 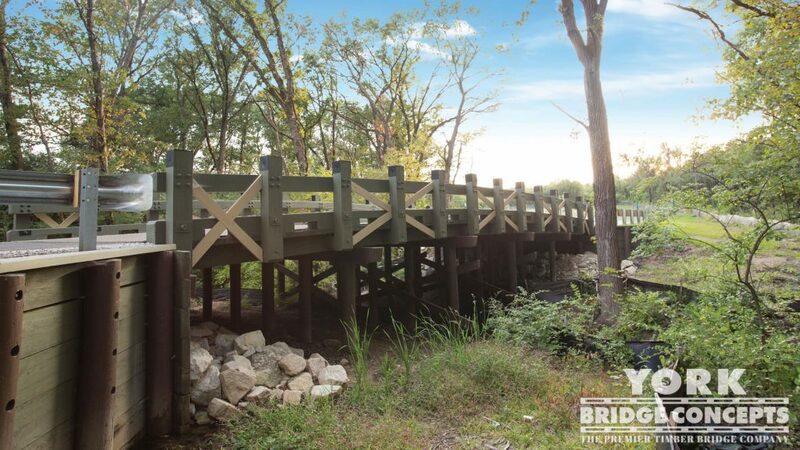 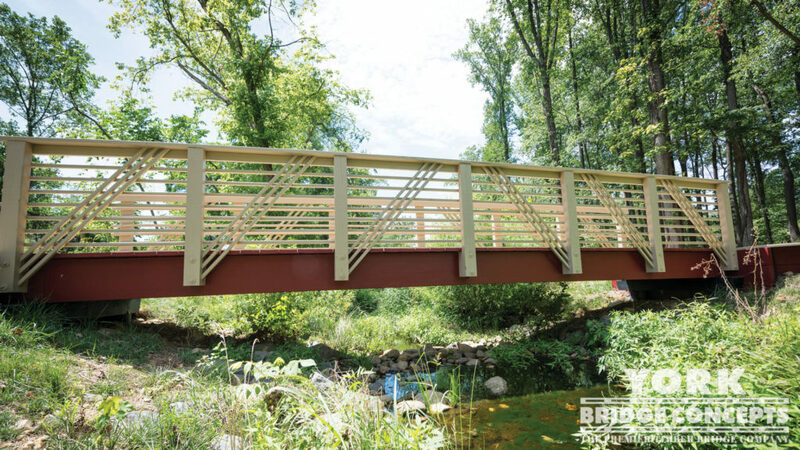 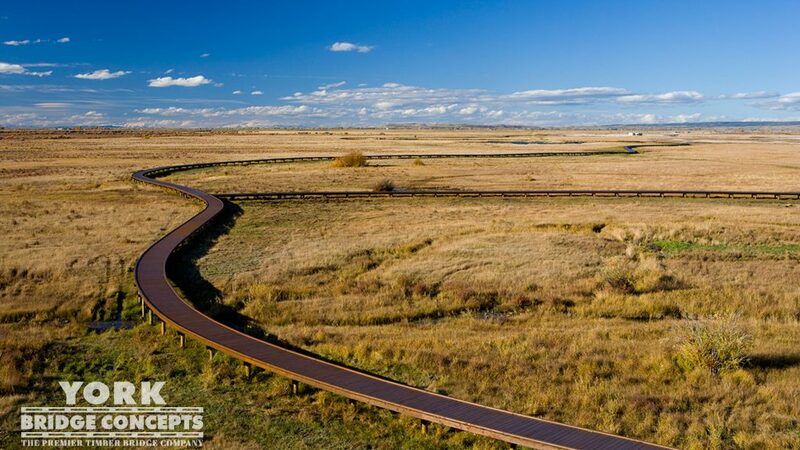 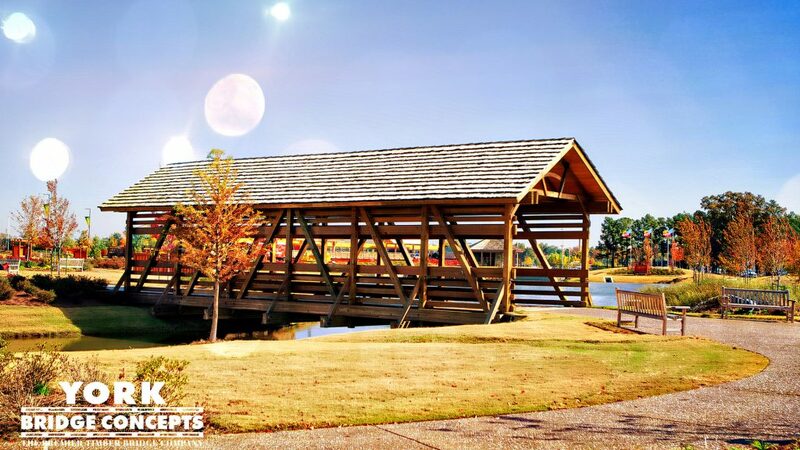 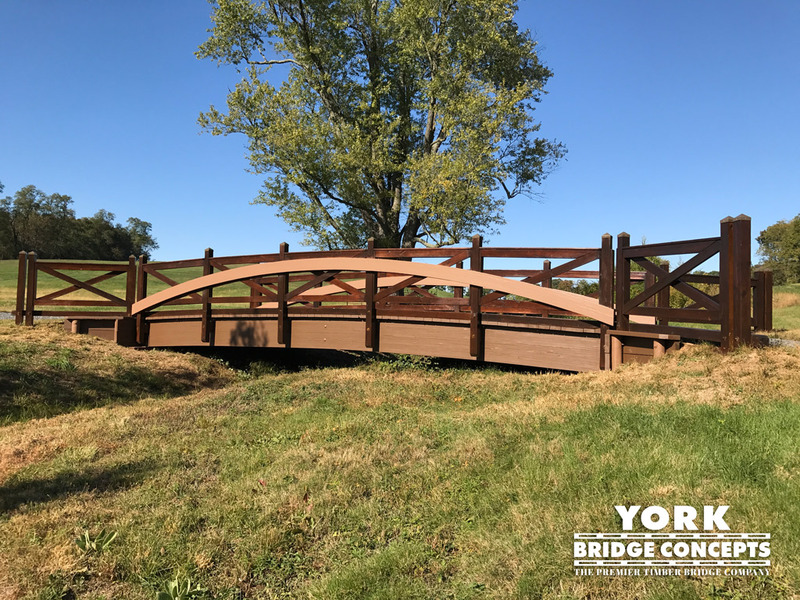 A stunning architectural landmark, the University’s unique 182’ long pile-supported York Timber Bridge has an 85 PSF loading capacity with elegant 42” timber pedestrian splinter-free hand rails. 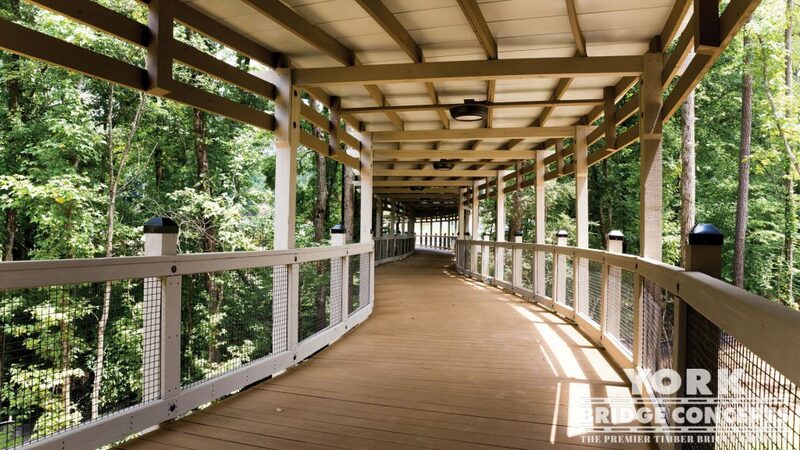 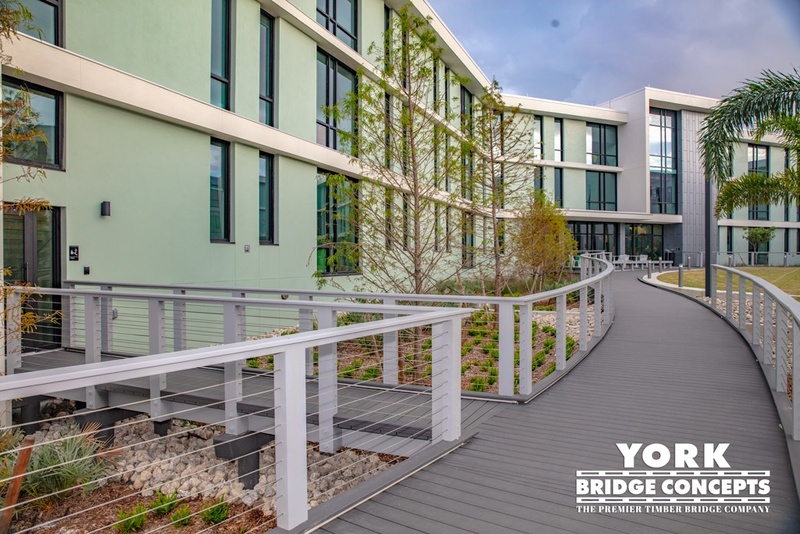 The staff at Ave Maria have introduced this friendly, accessible structure to their students — a combination of warm, earthy tones which includes the unique metal pickets that complement the surrounding campus and environment. 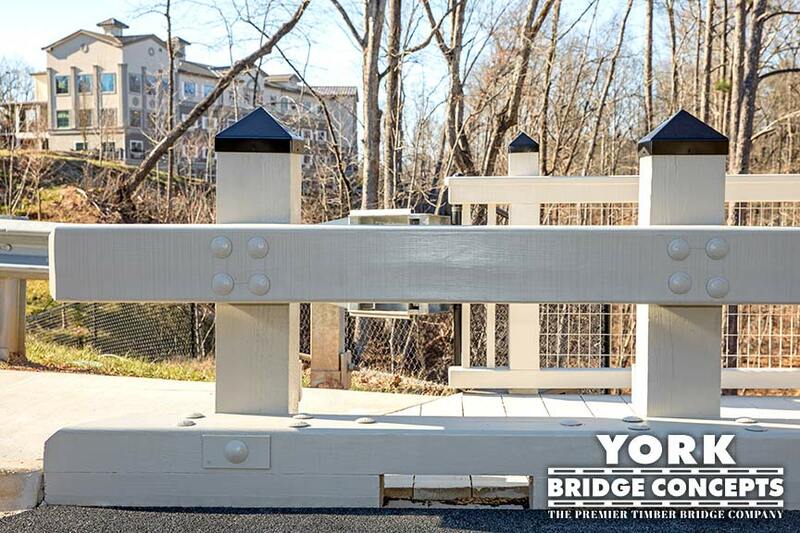 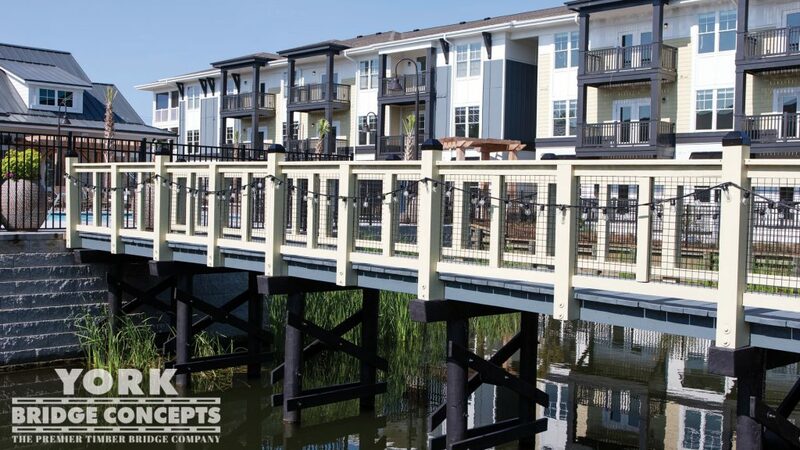 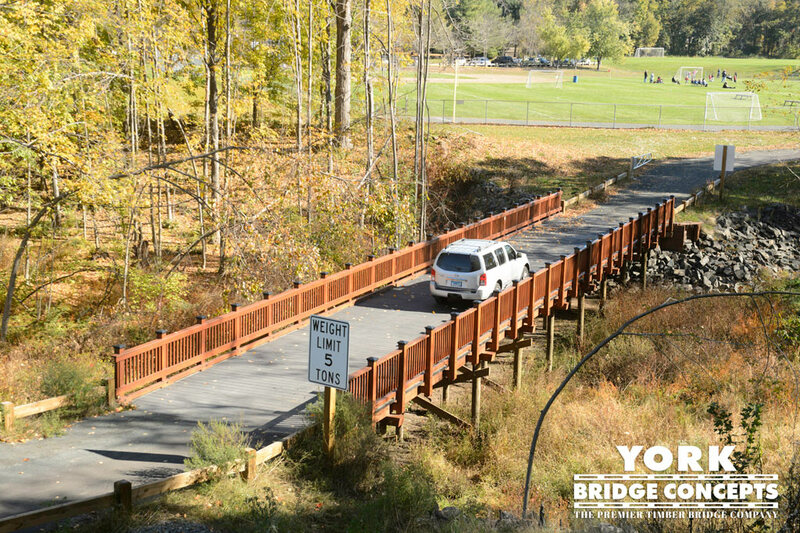 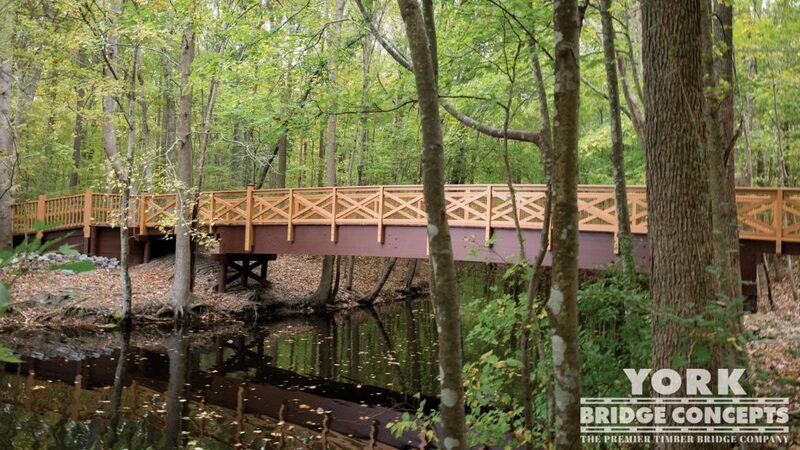 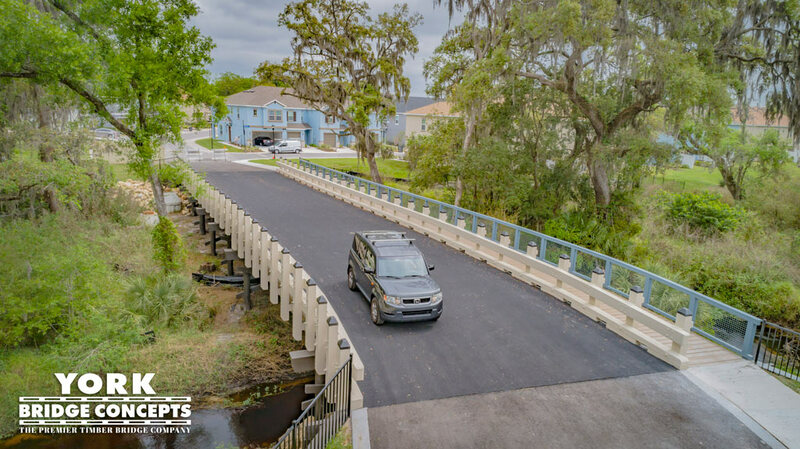 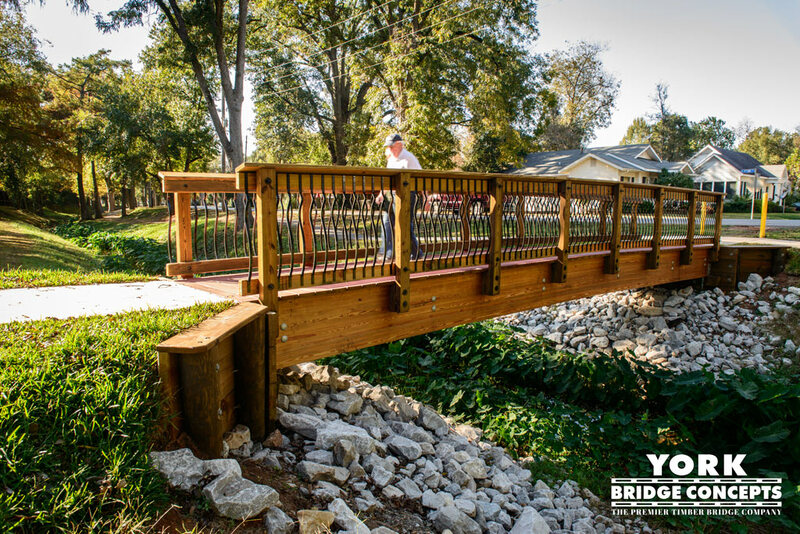 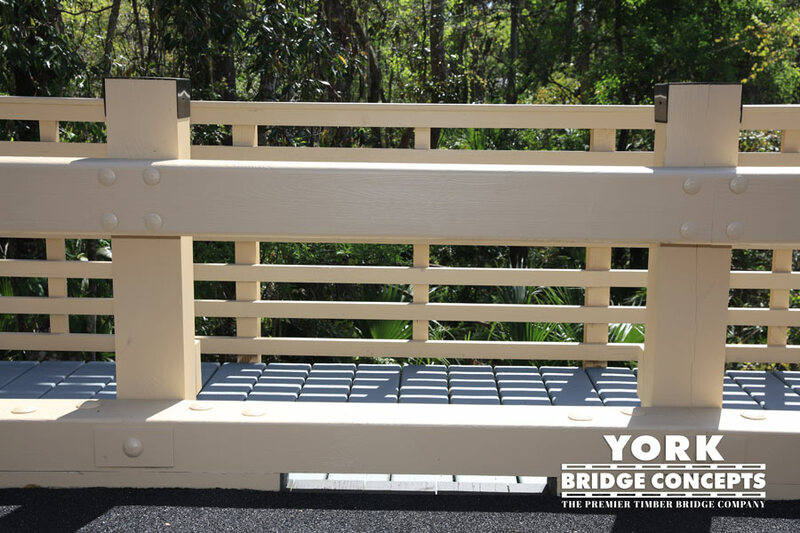 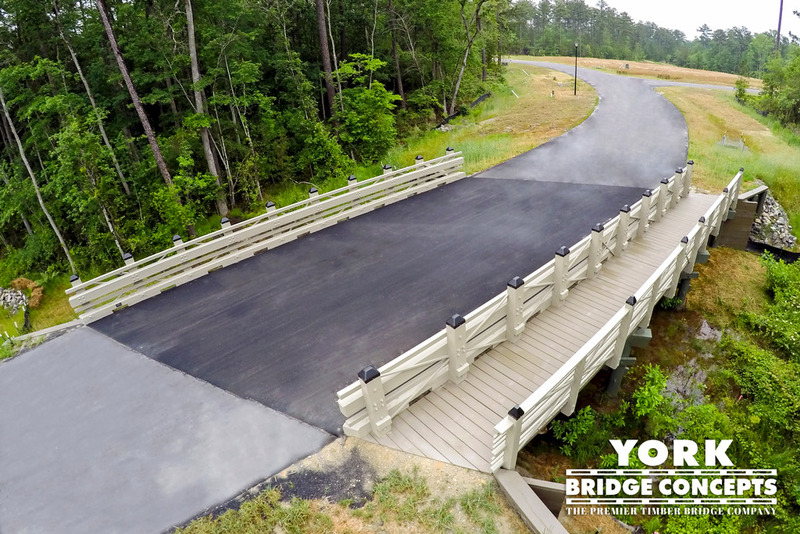 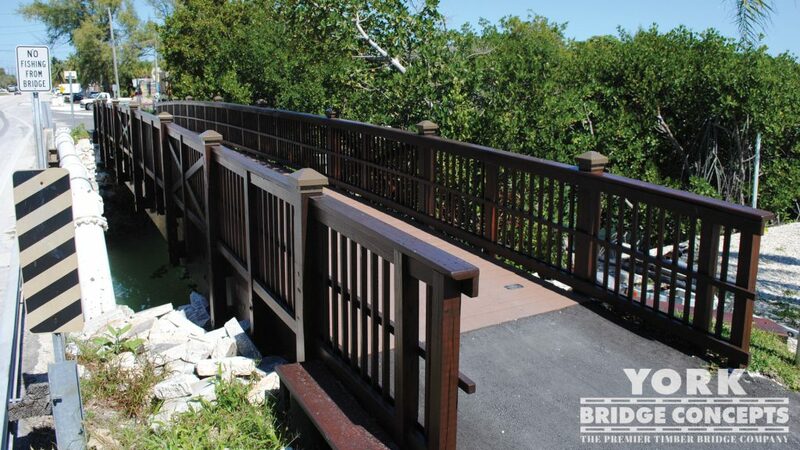 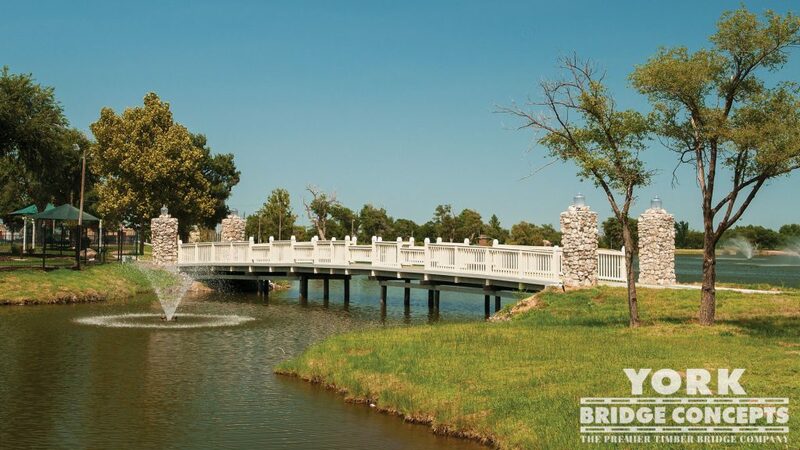 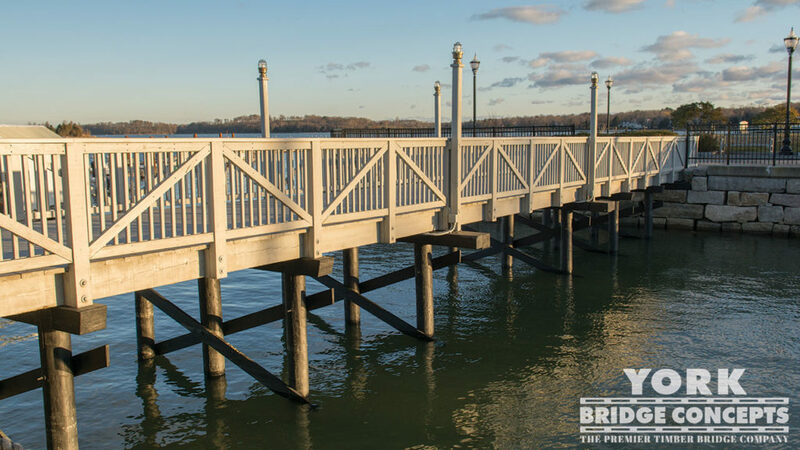 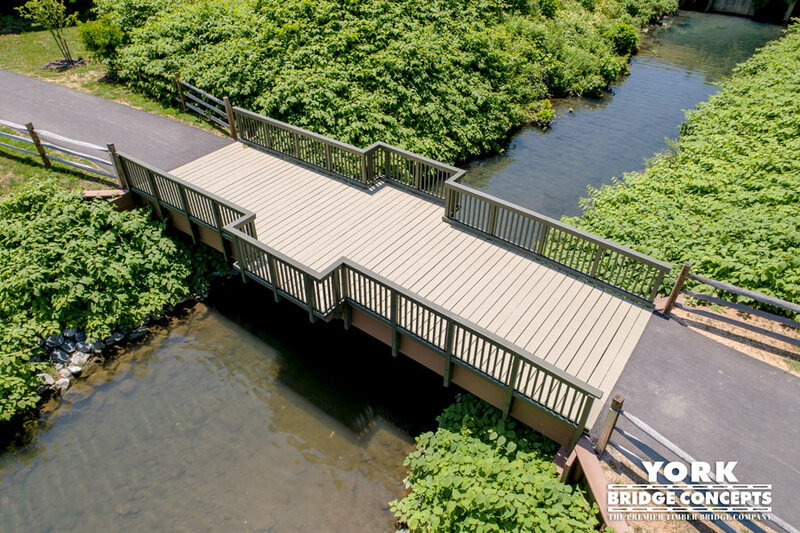 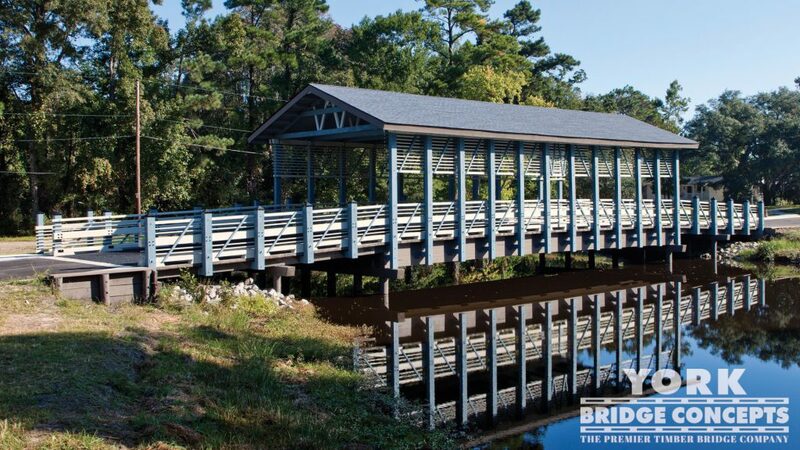 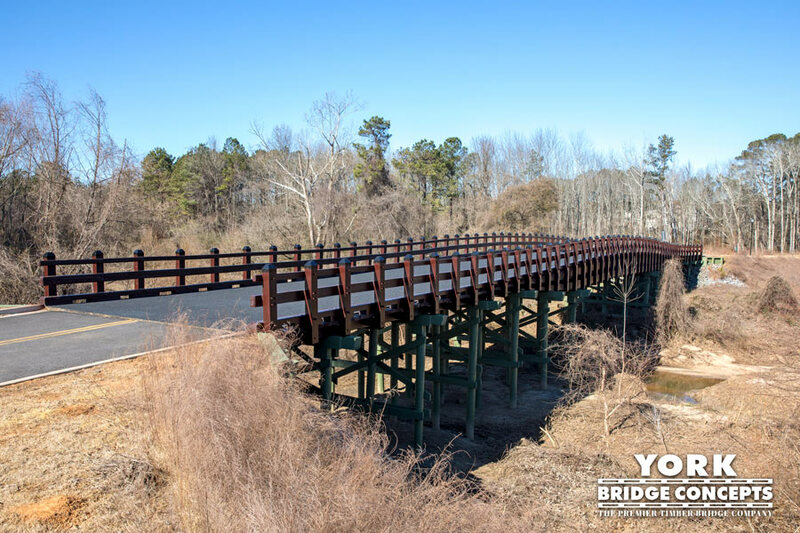 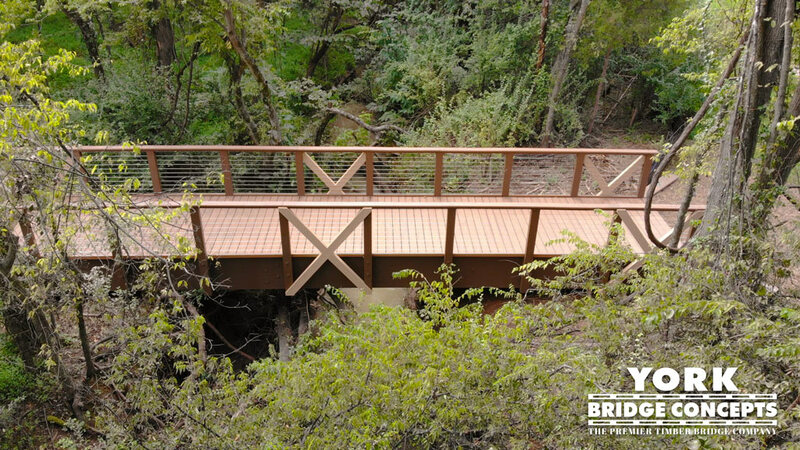 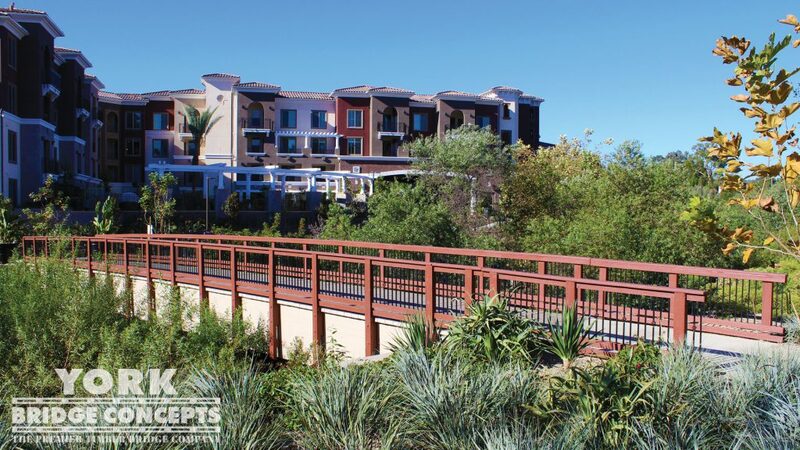 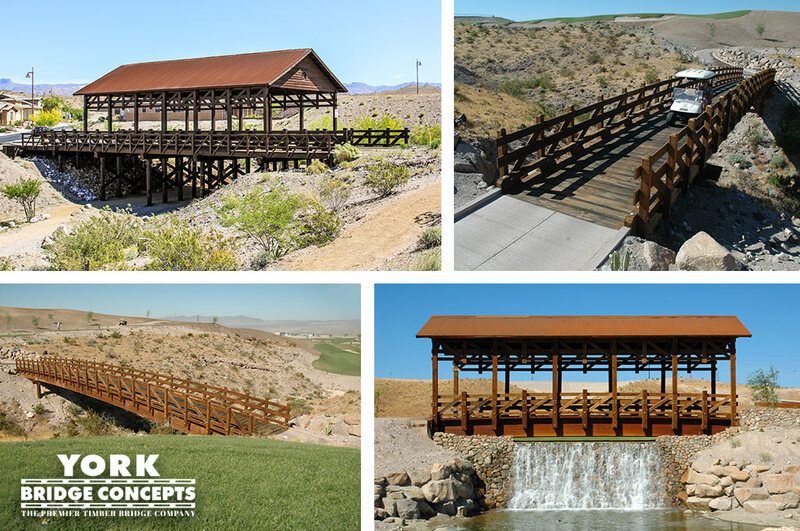 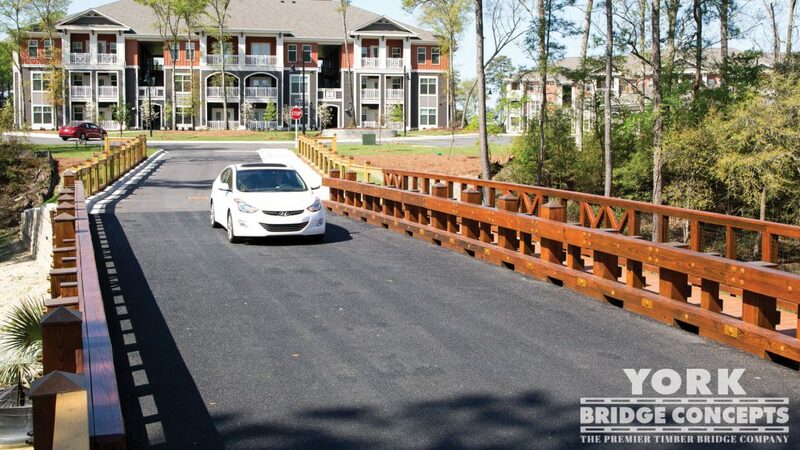 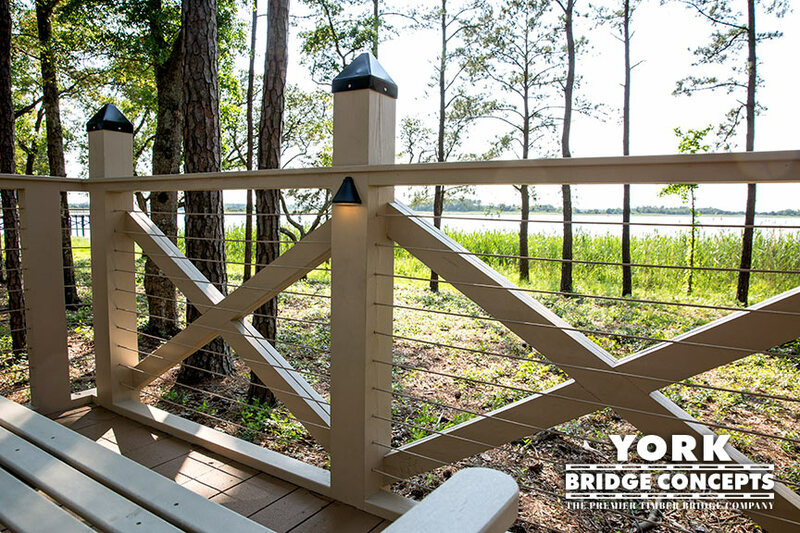 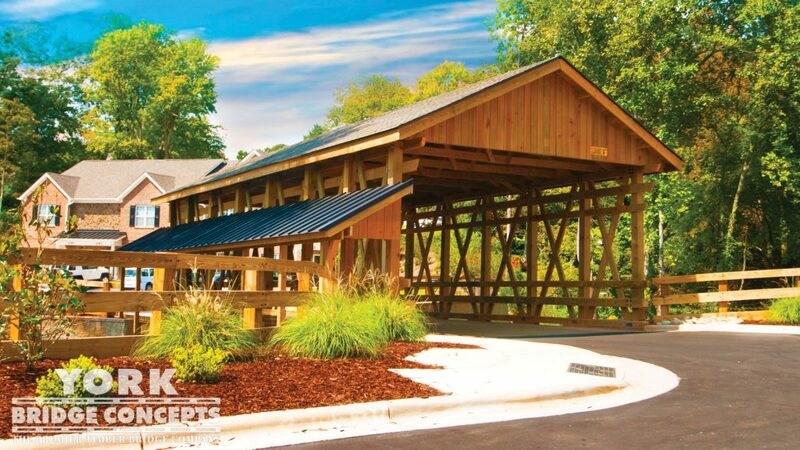 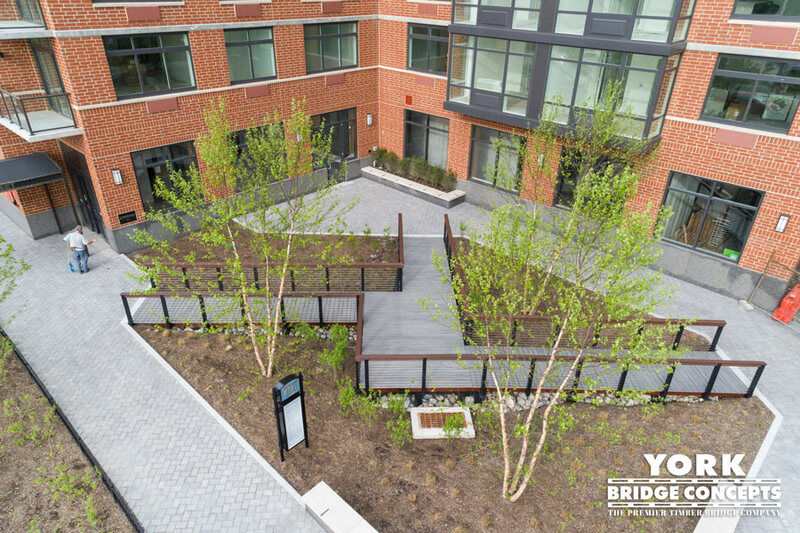 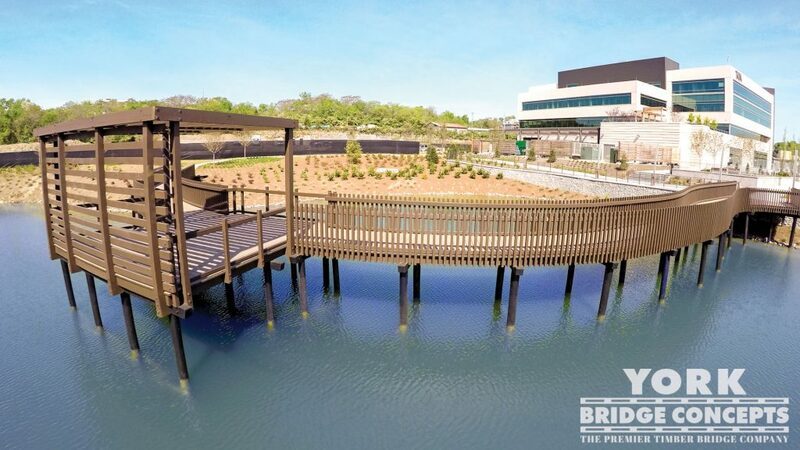 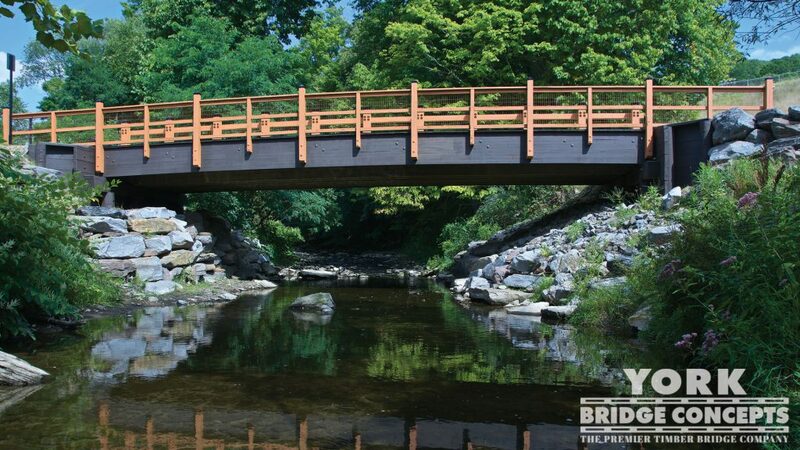 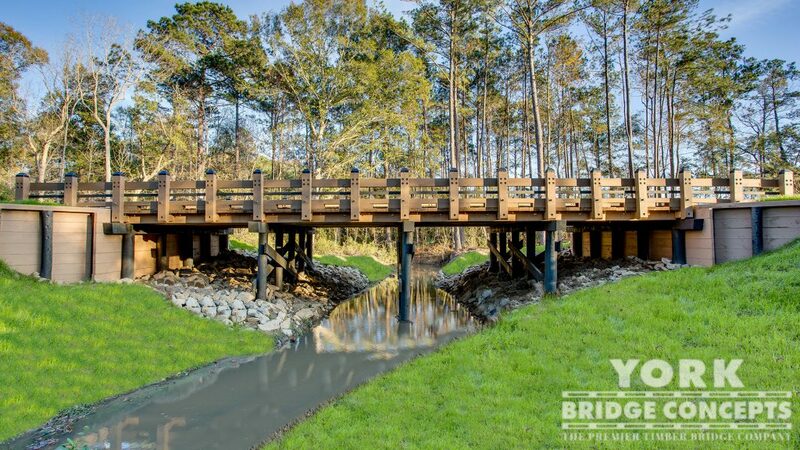 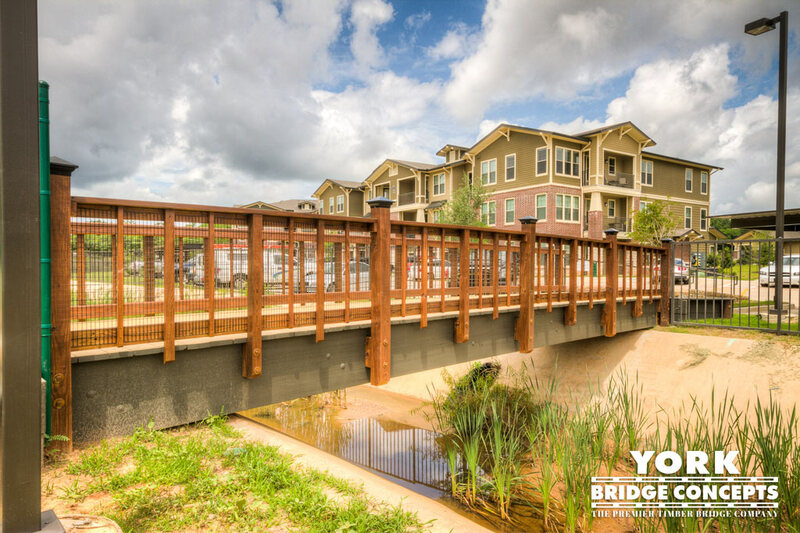 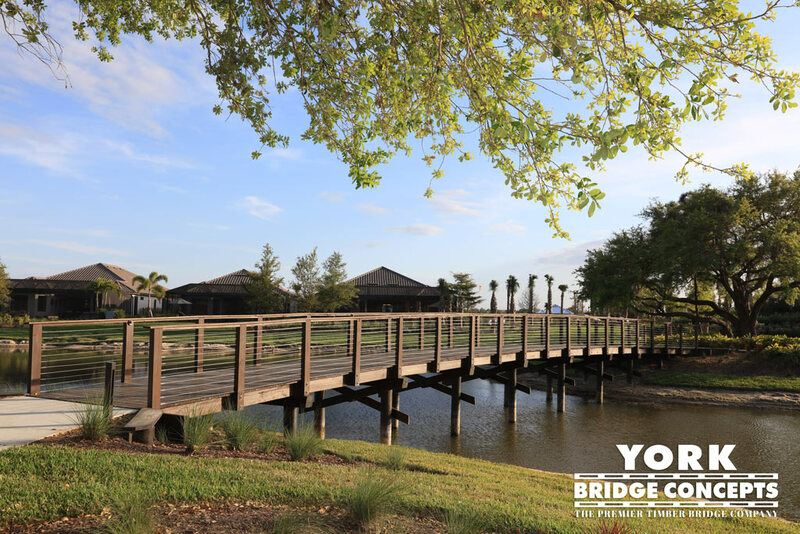 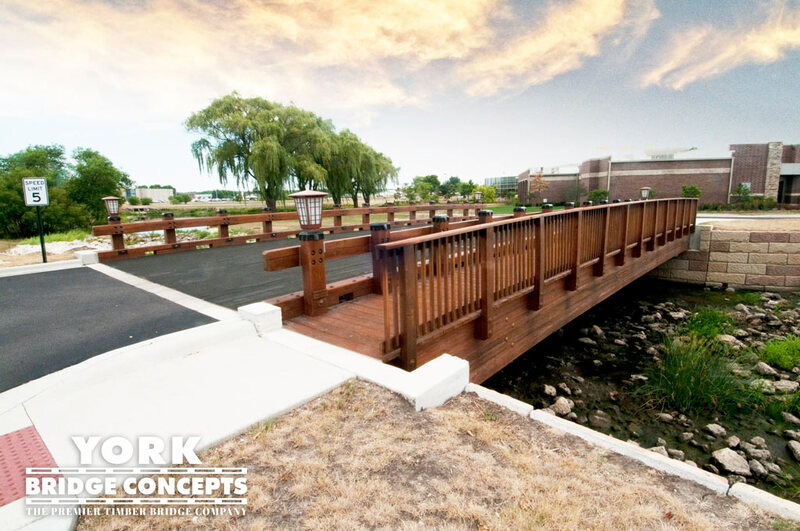 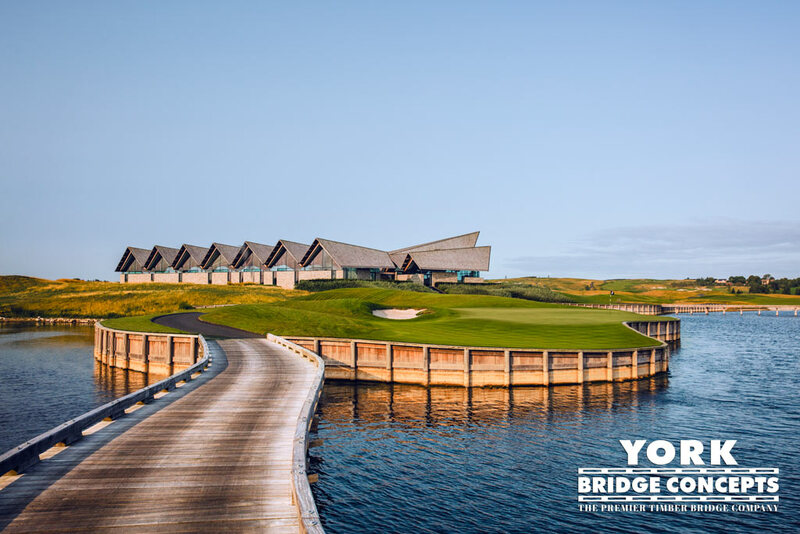 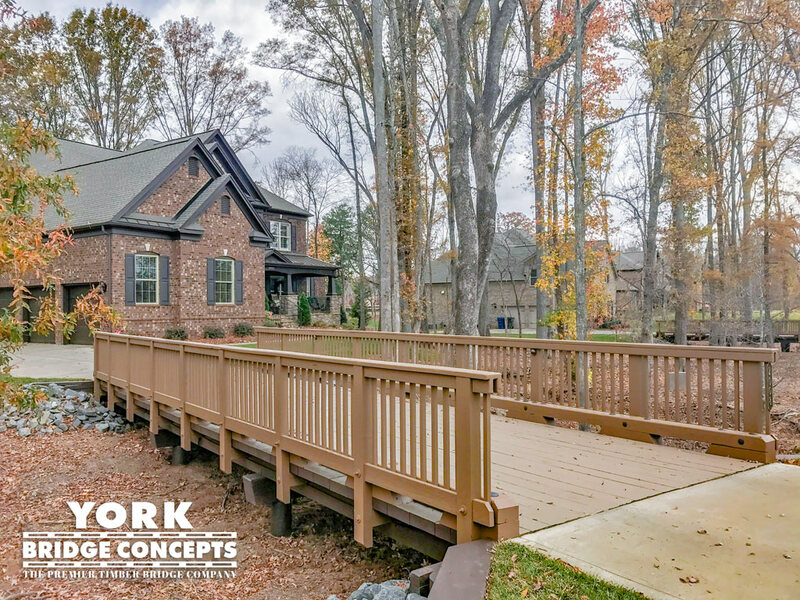 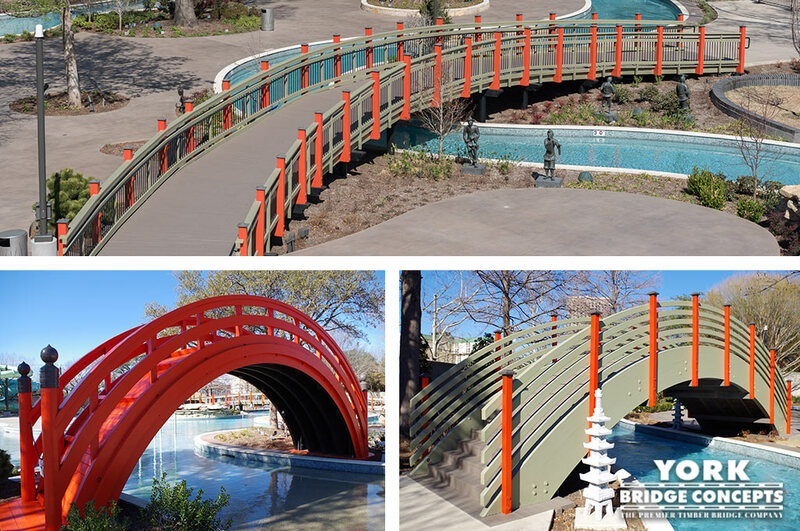 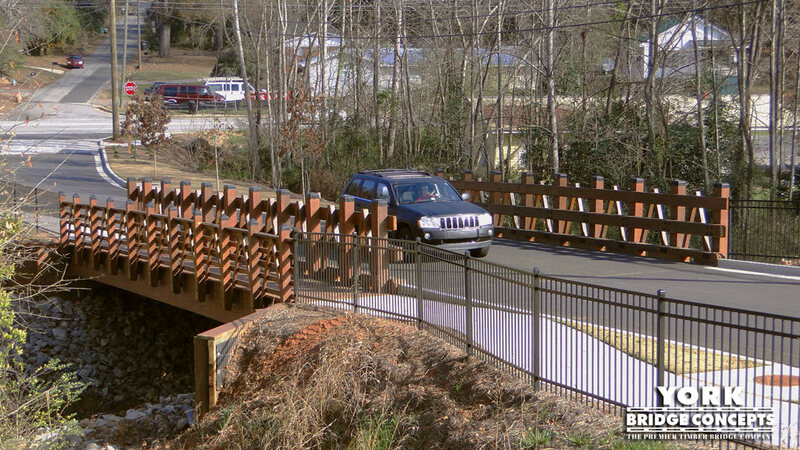 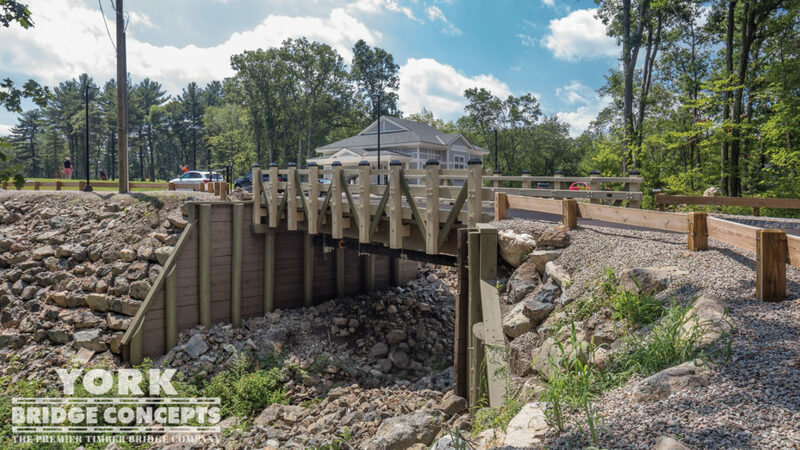 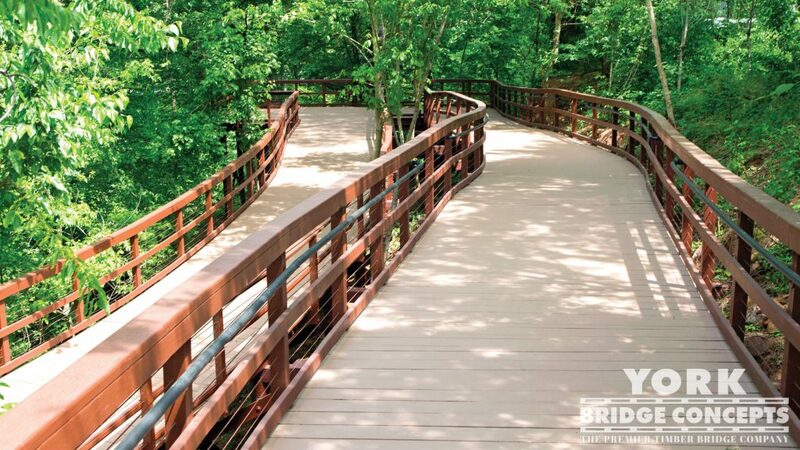 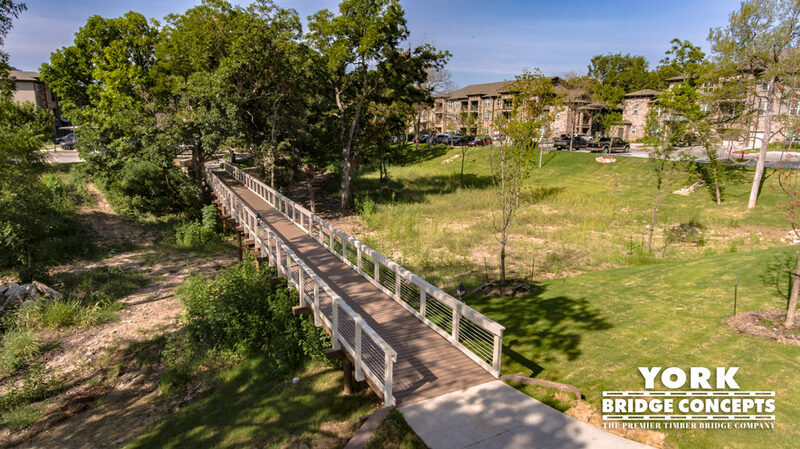 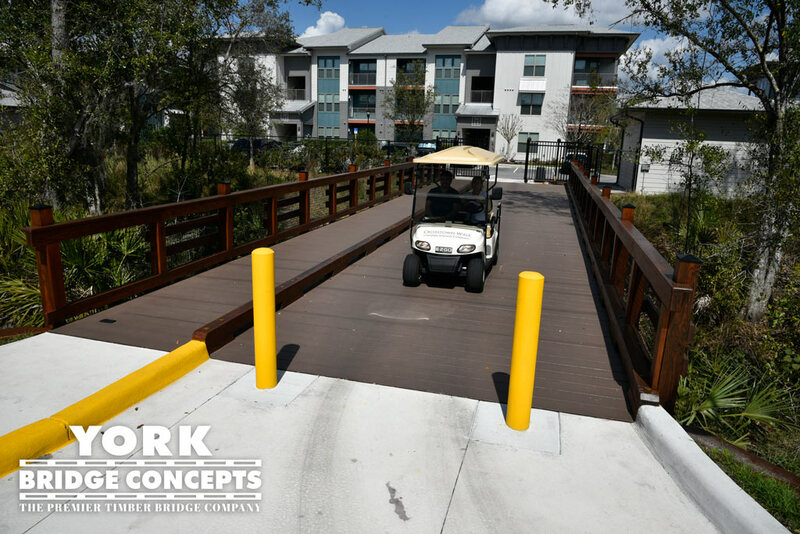 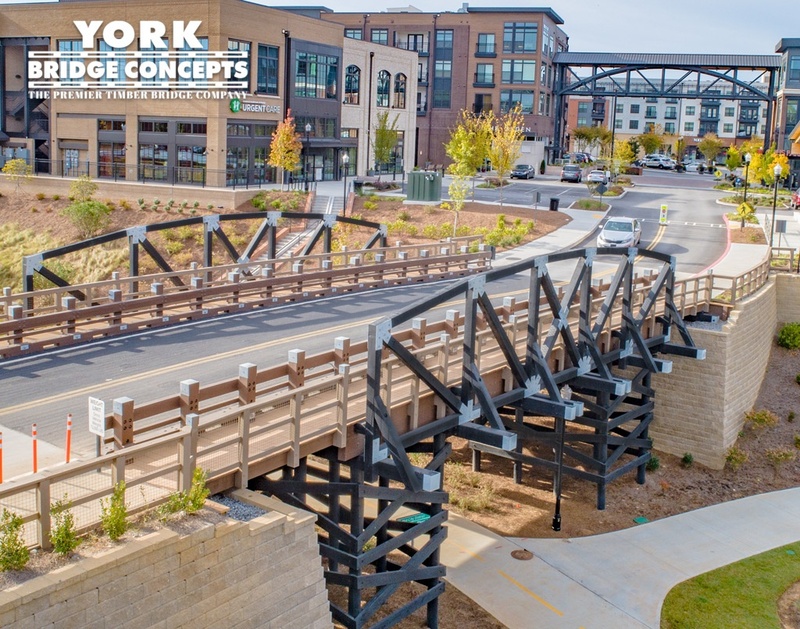 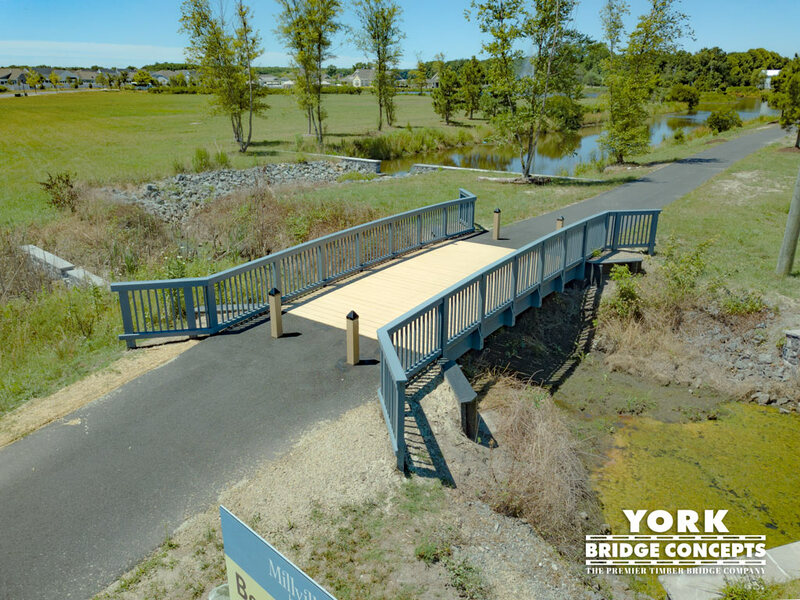 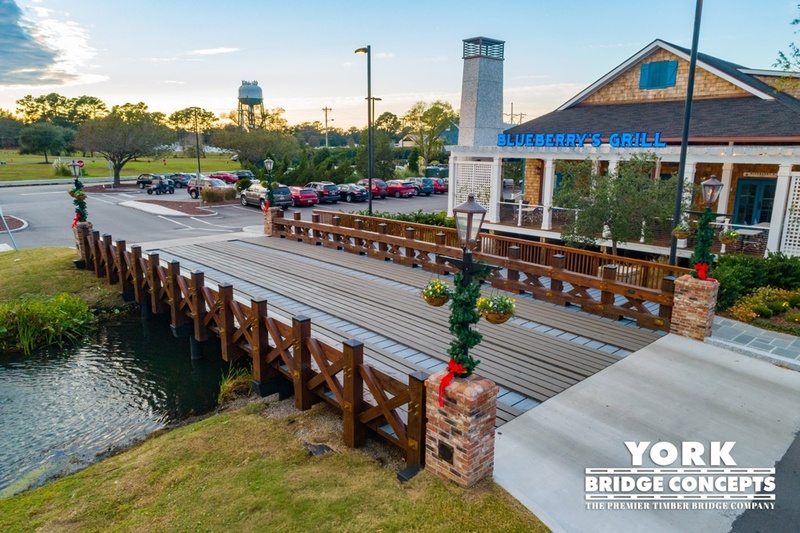 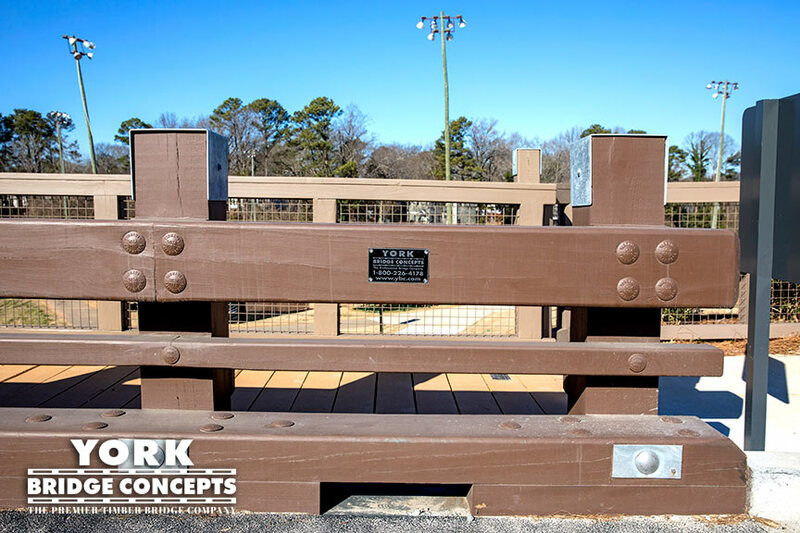 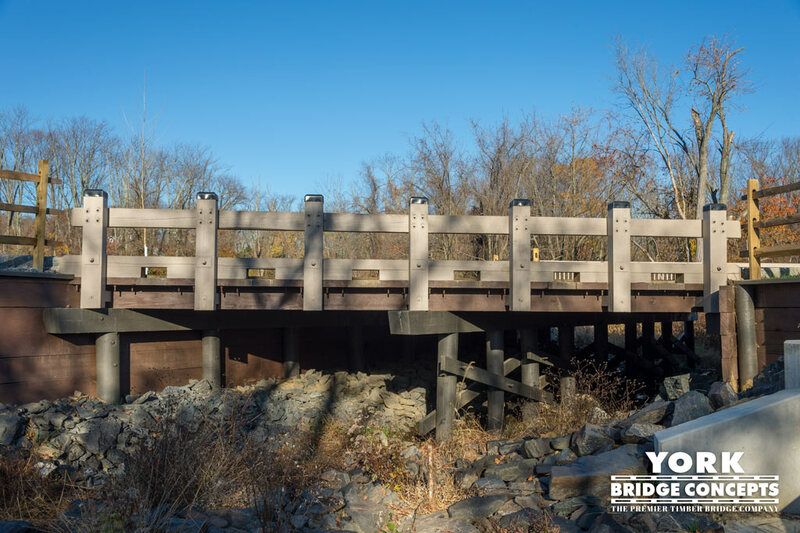 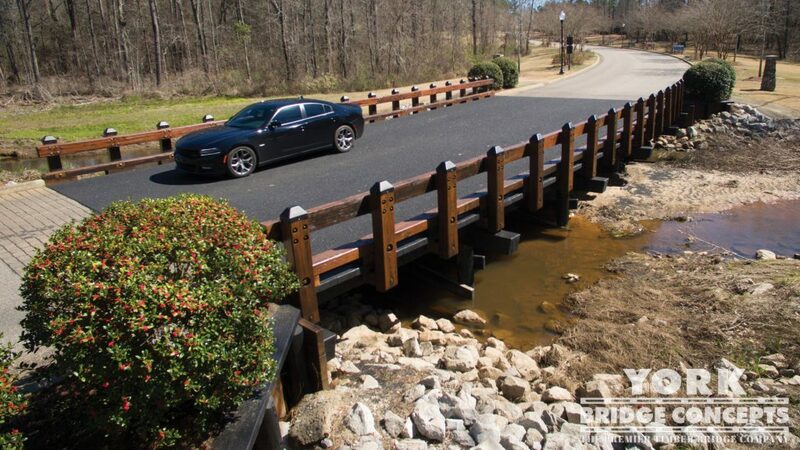 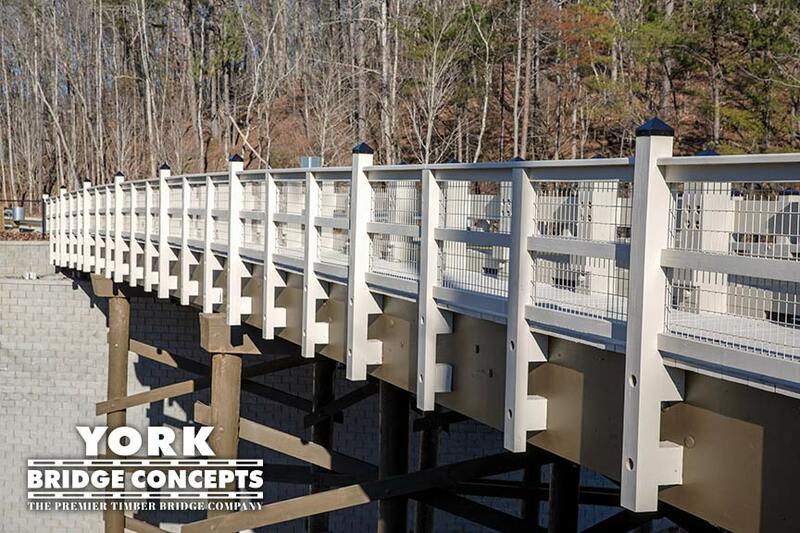 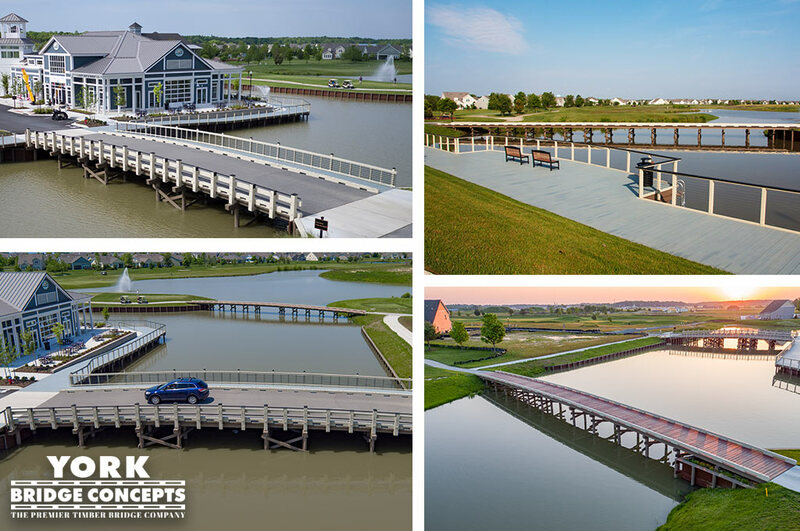 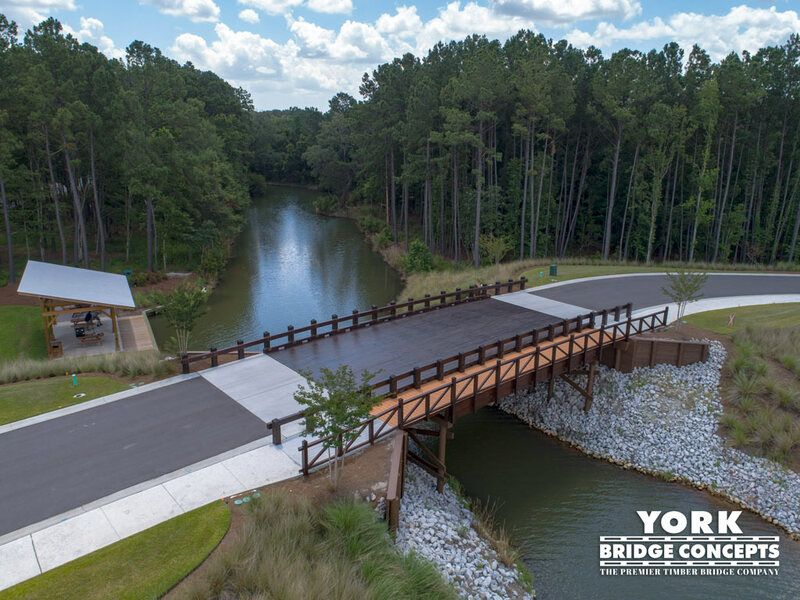 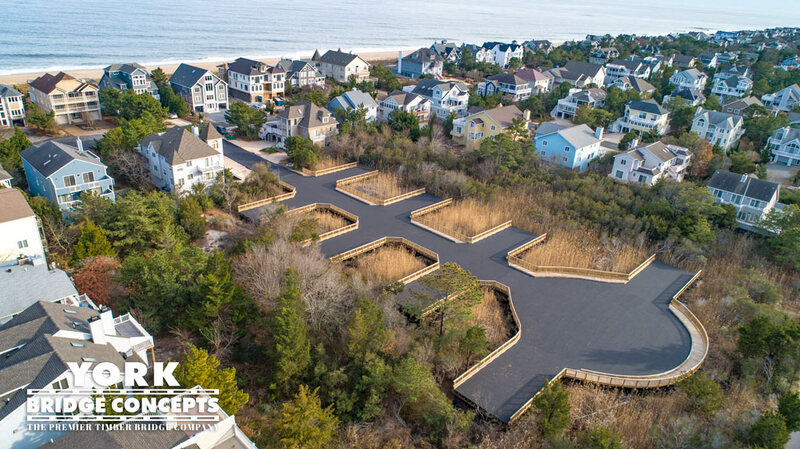 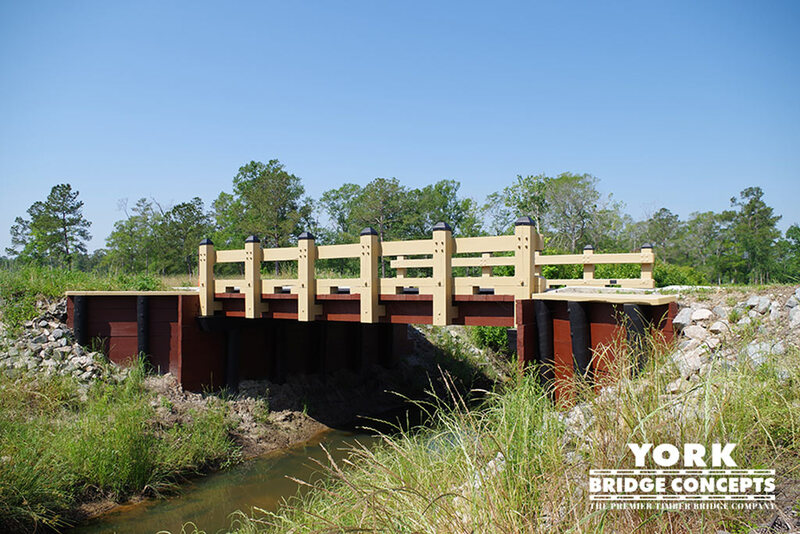 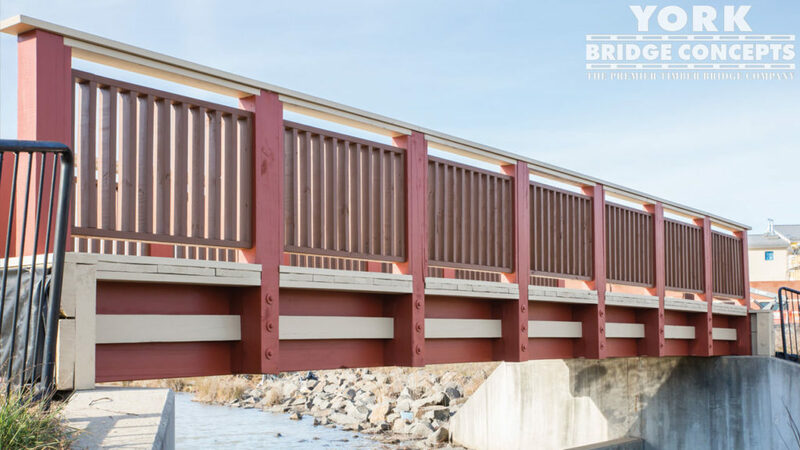 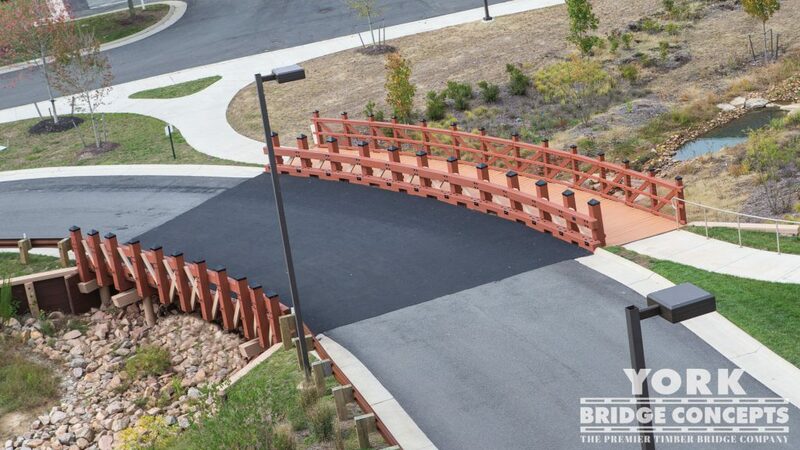 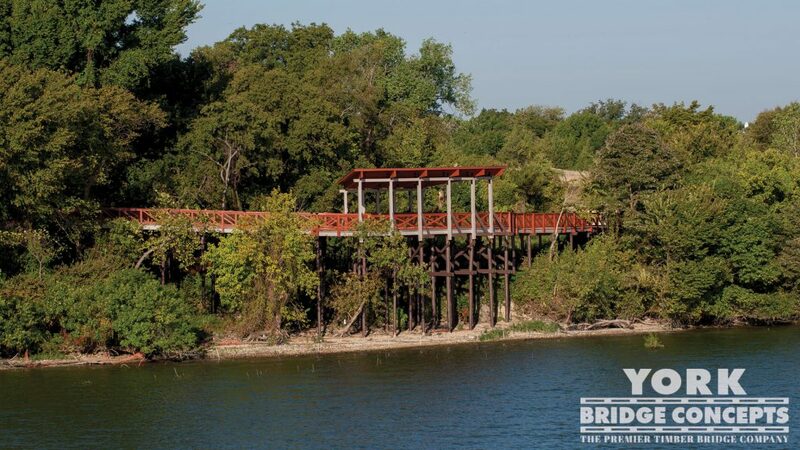 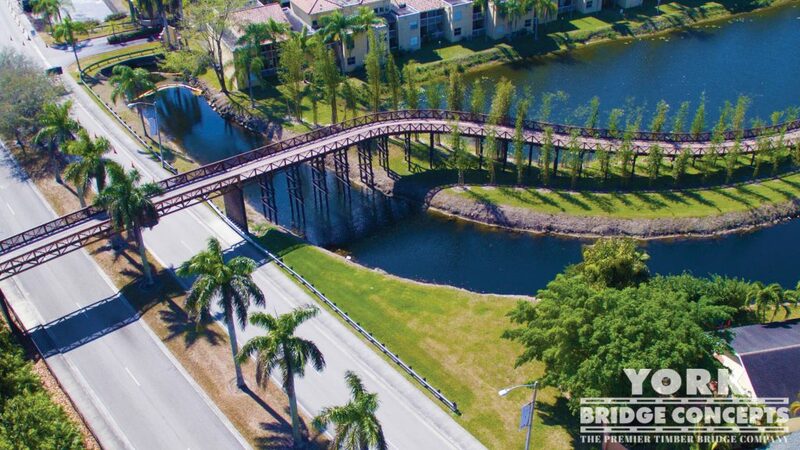 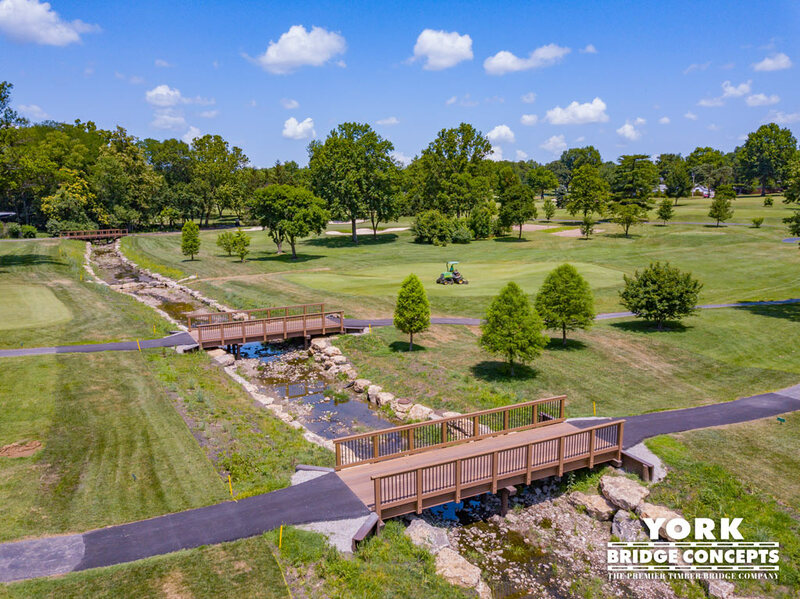 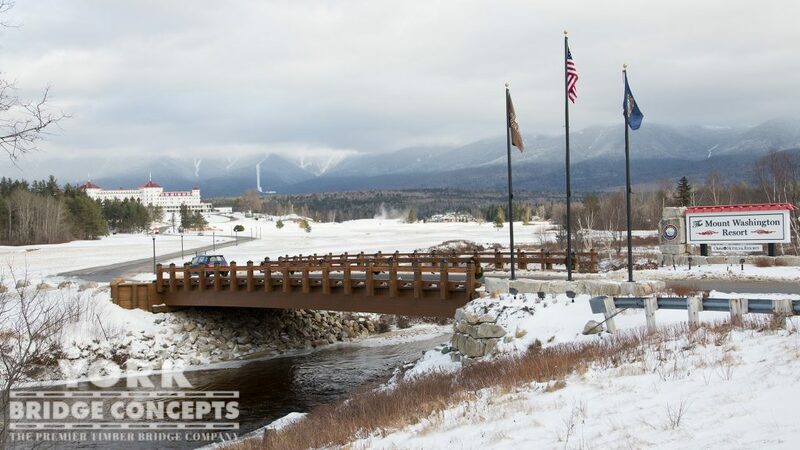 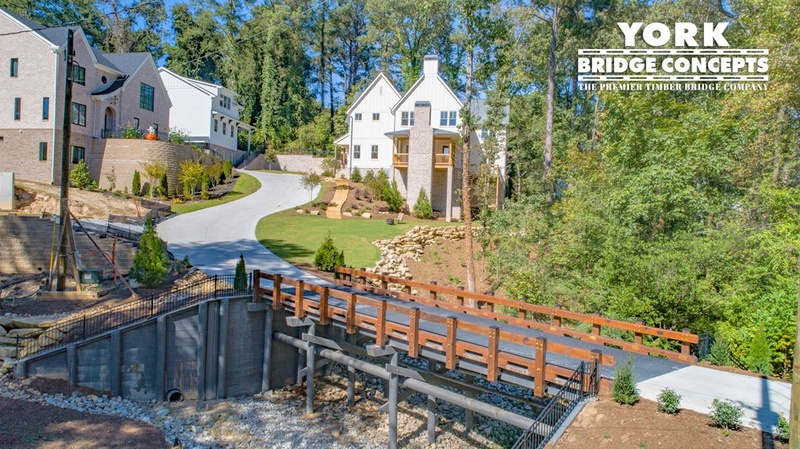 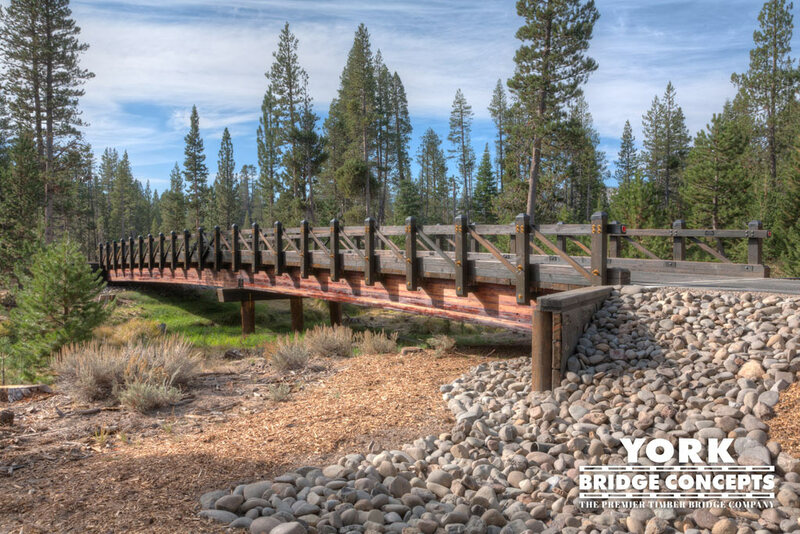 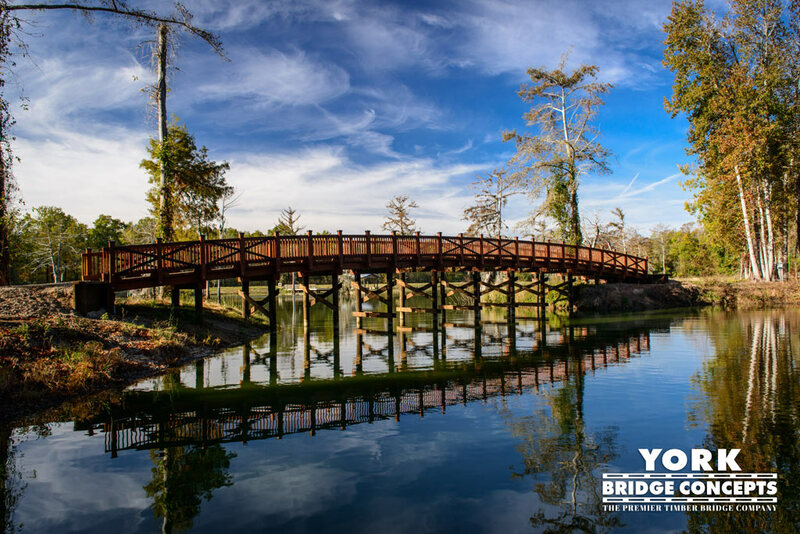 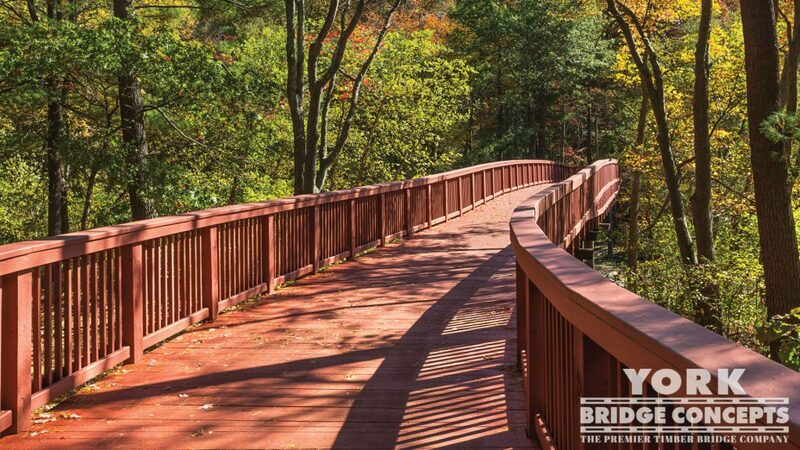 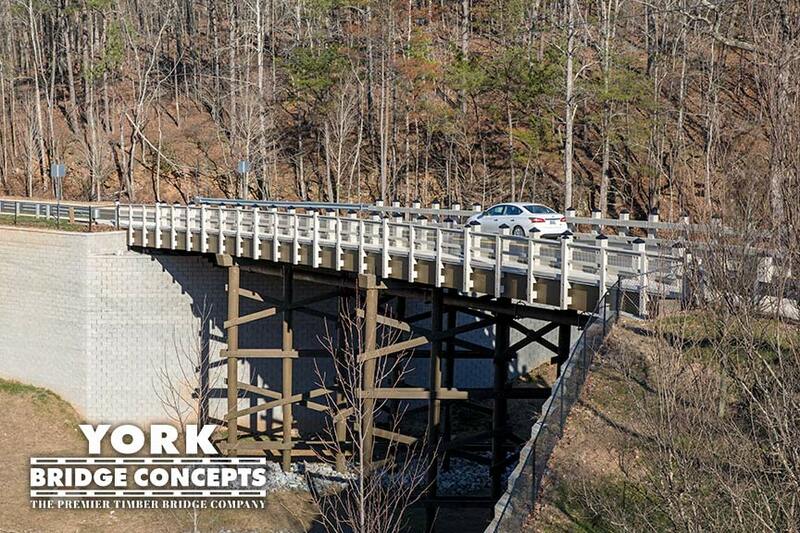 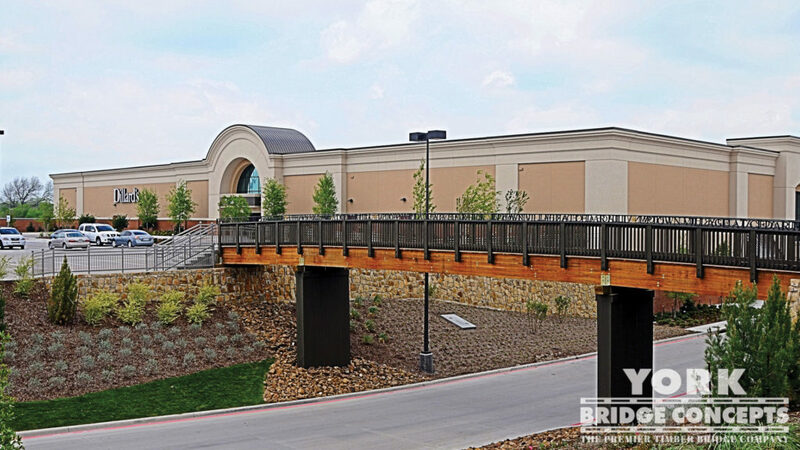 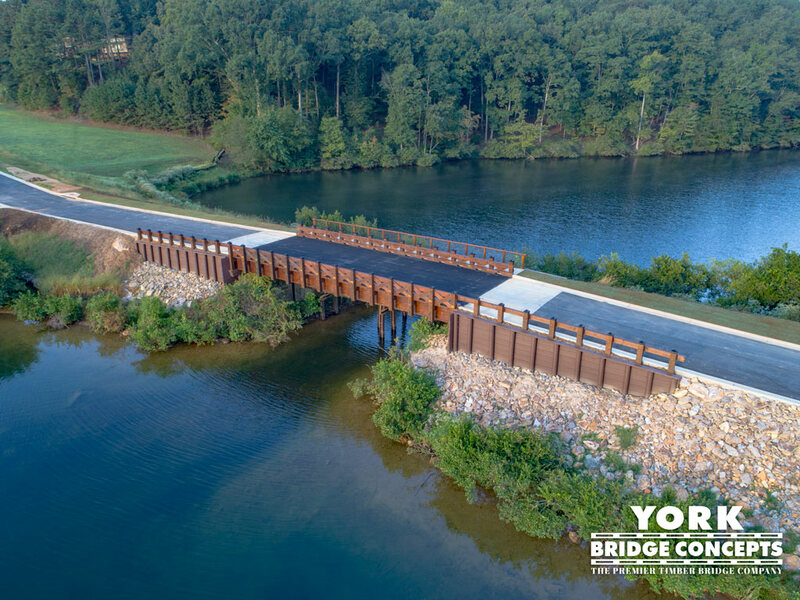 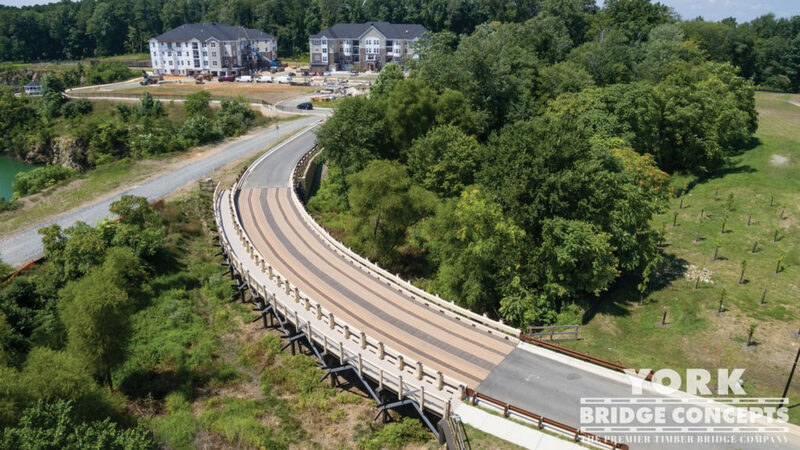 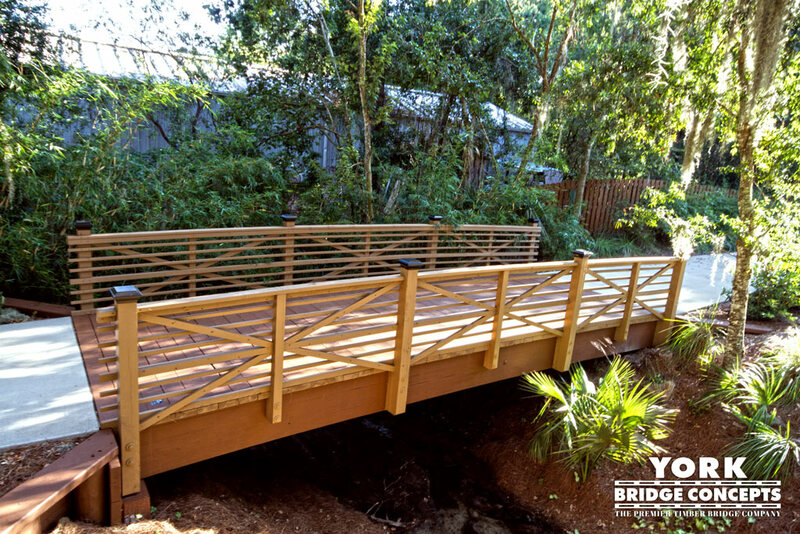 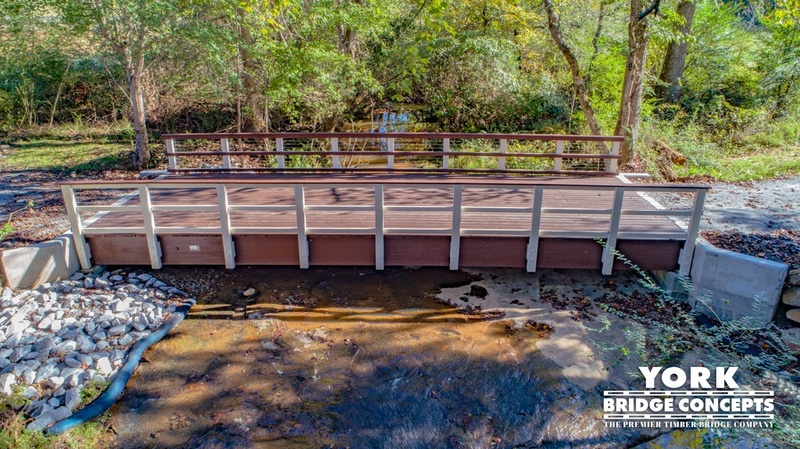 "From planning, design, and construction of the Guadalupe Bridge, the professionalism of York Bridge Concepts was evident. 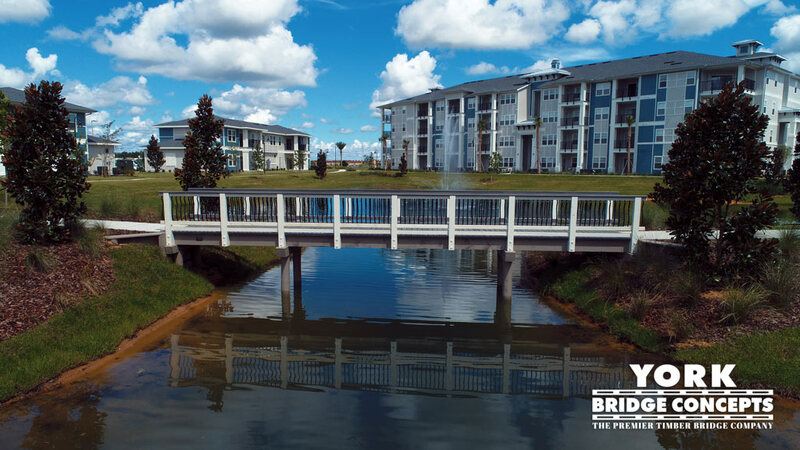 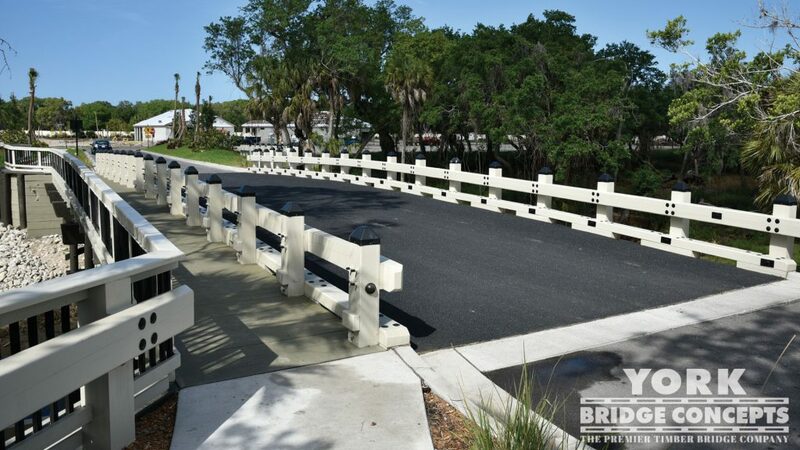 The project was completed on time, and on budget, and a big thank you from Ave Maria University."